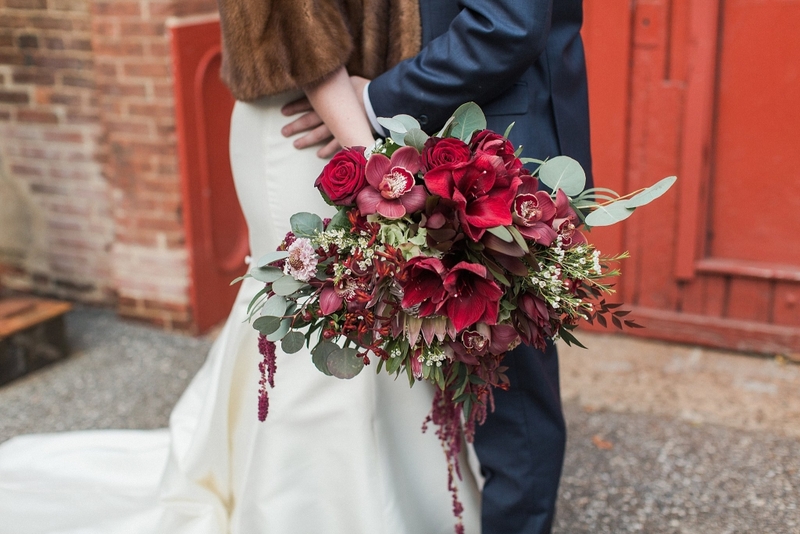 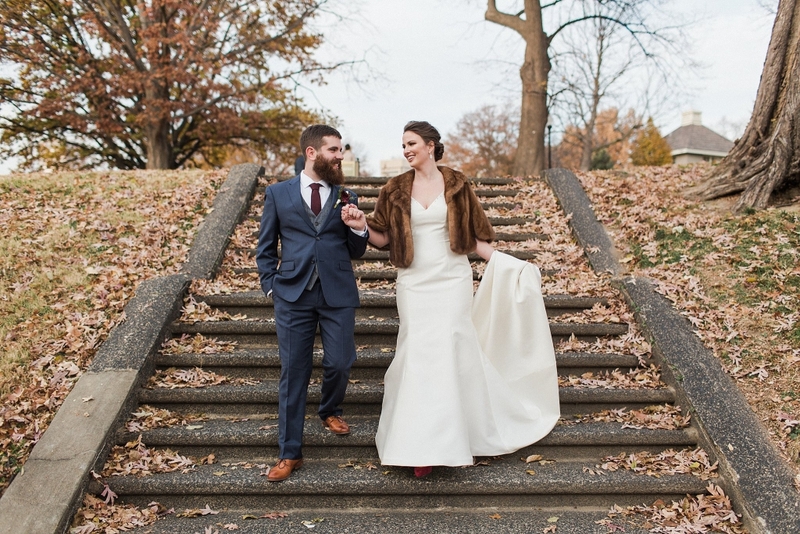 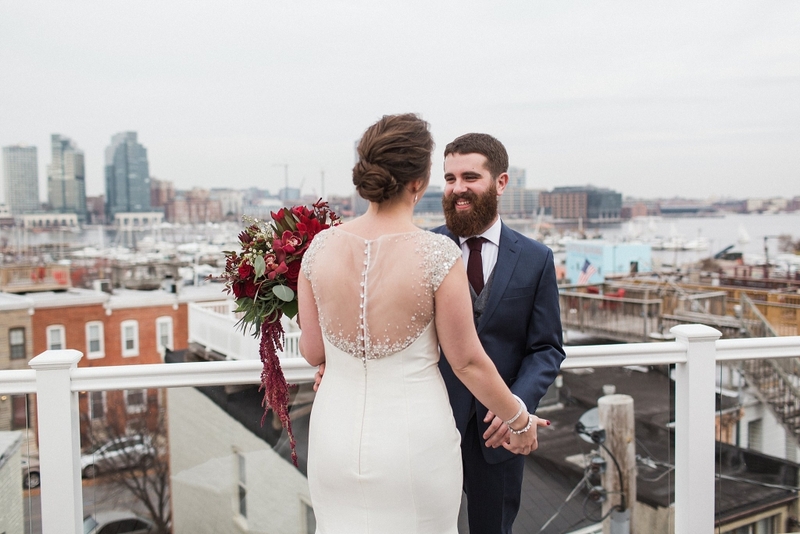 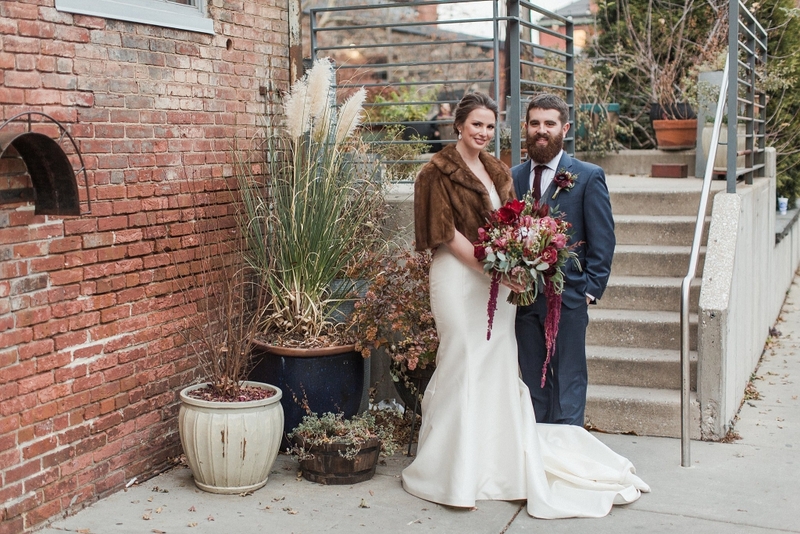 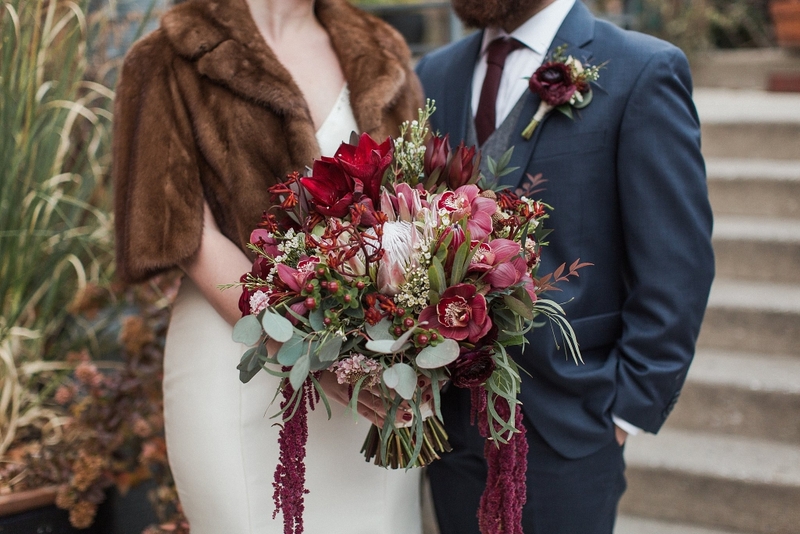 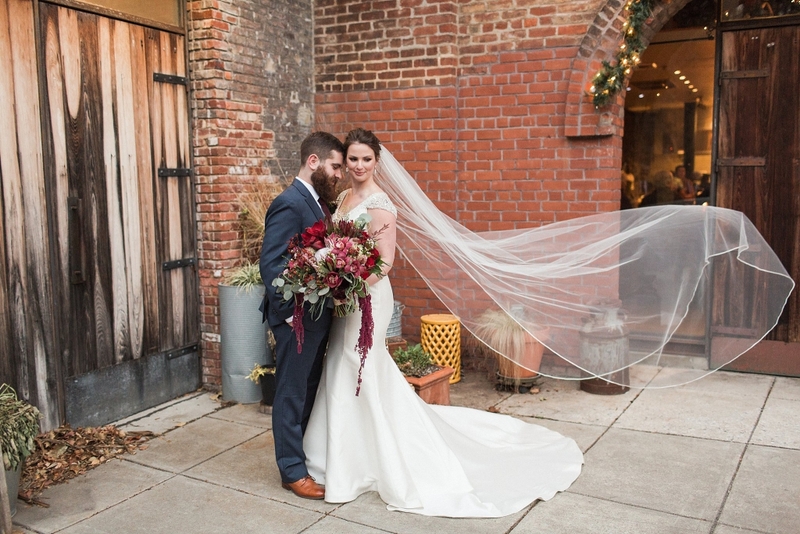 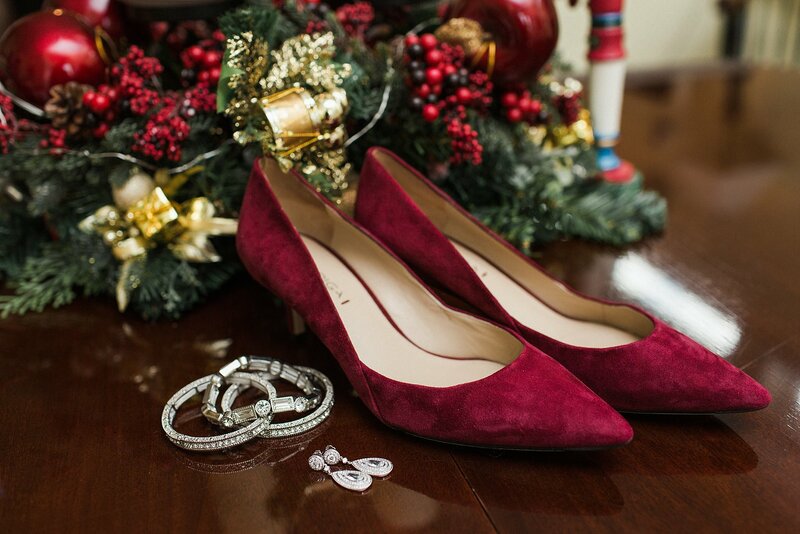 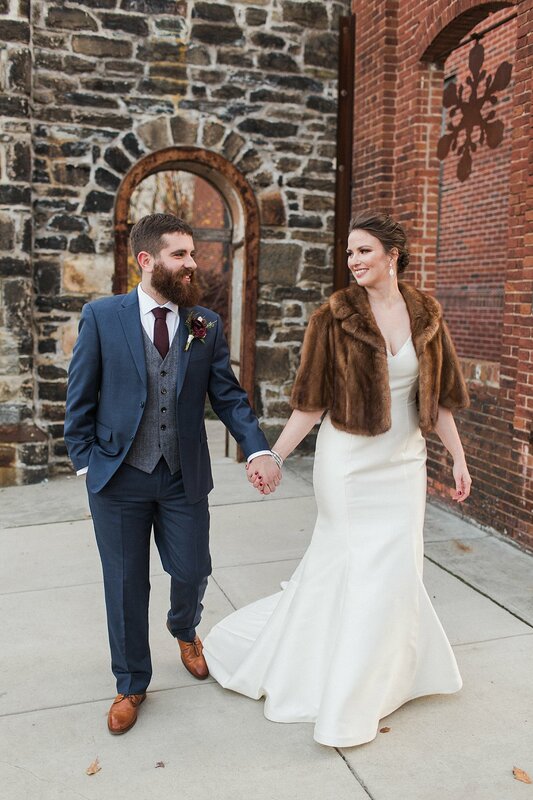 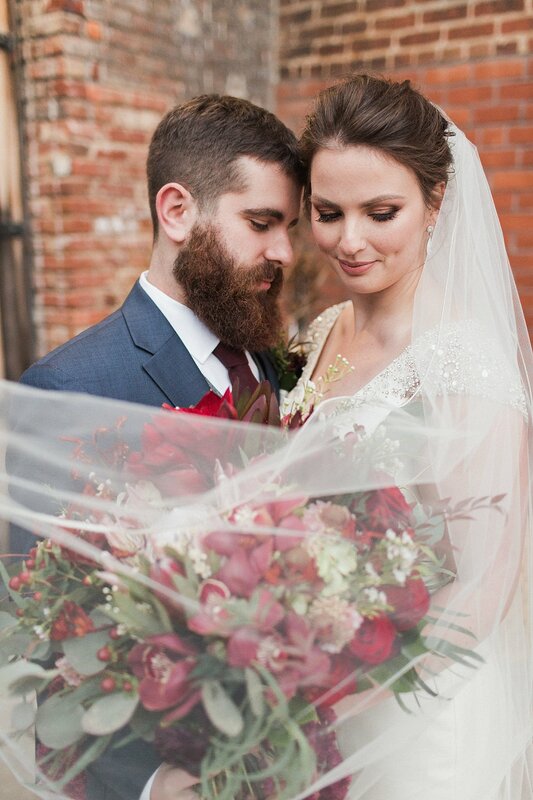 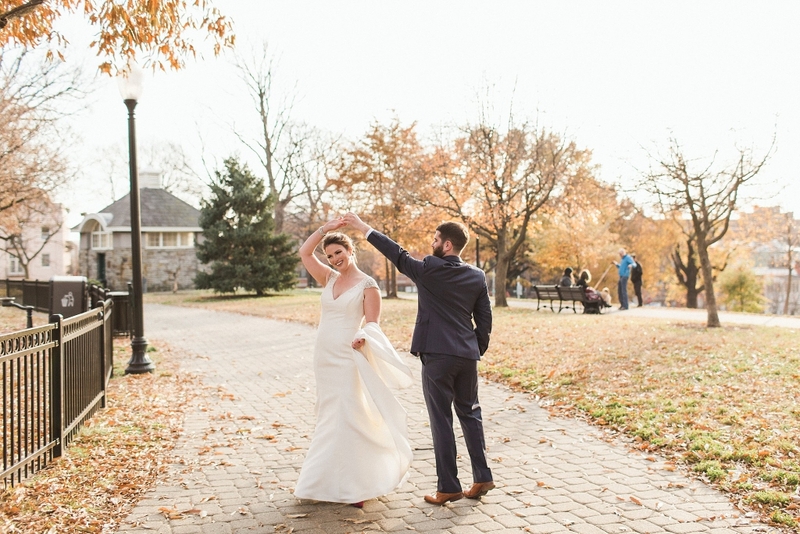 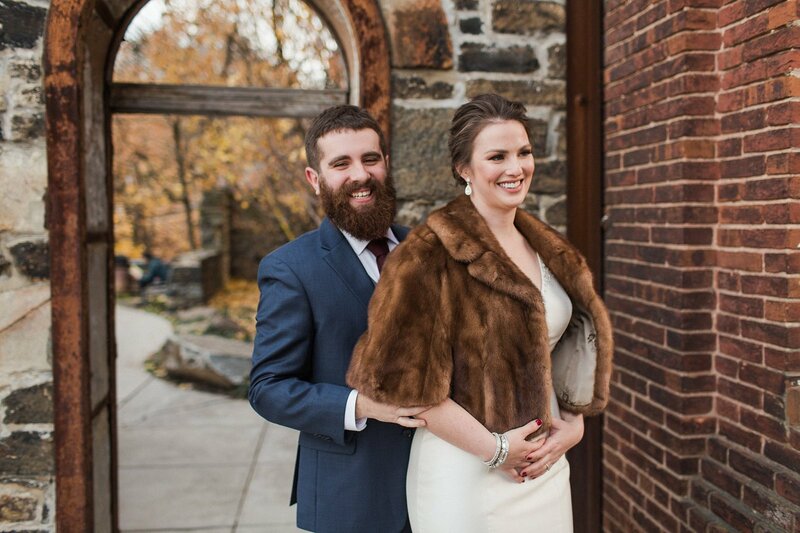 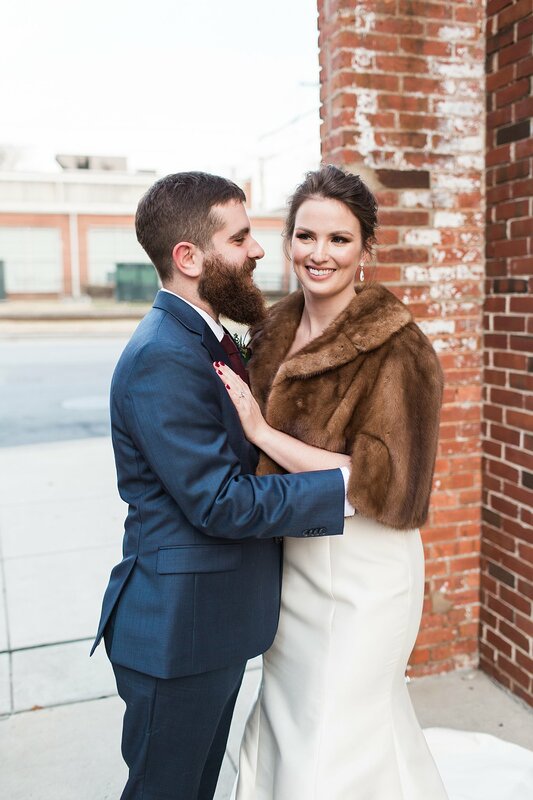 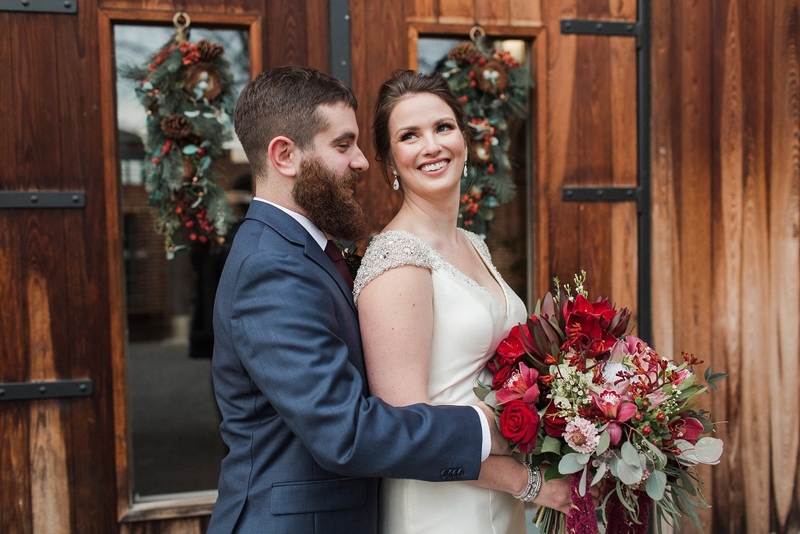 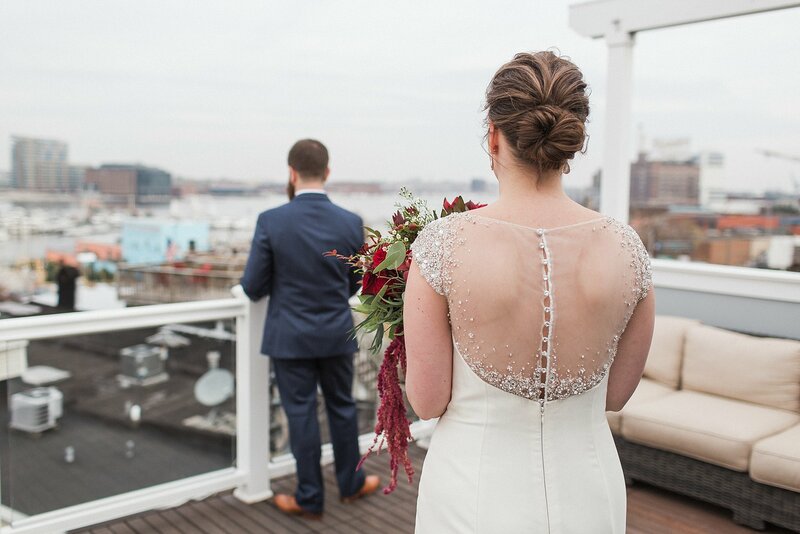 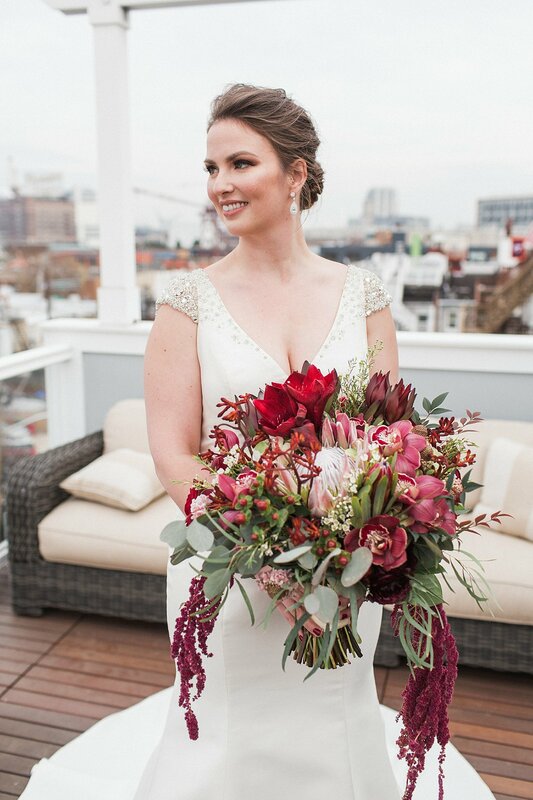 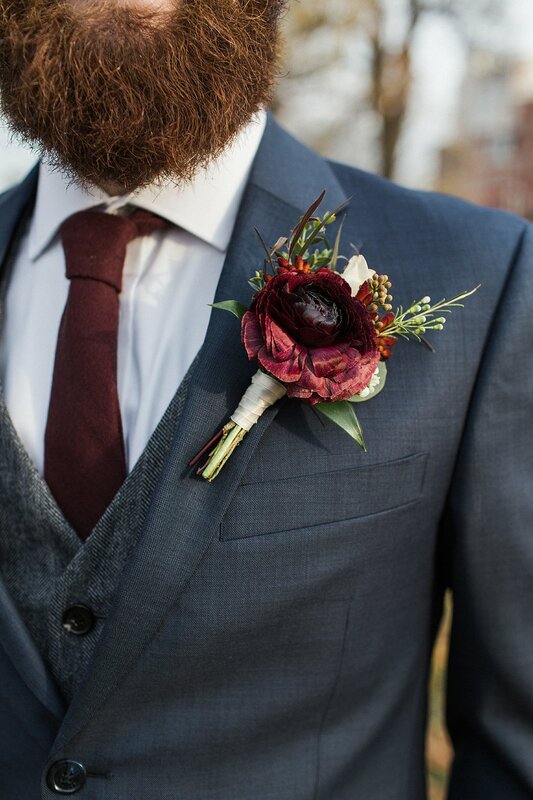 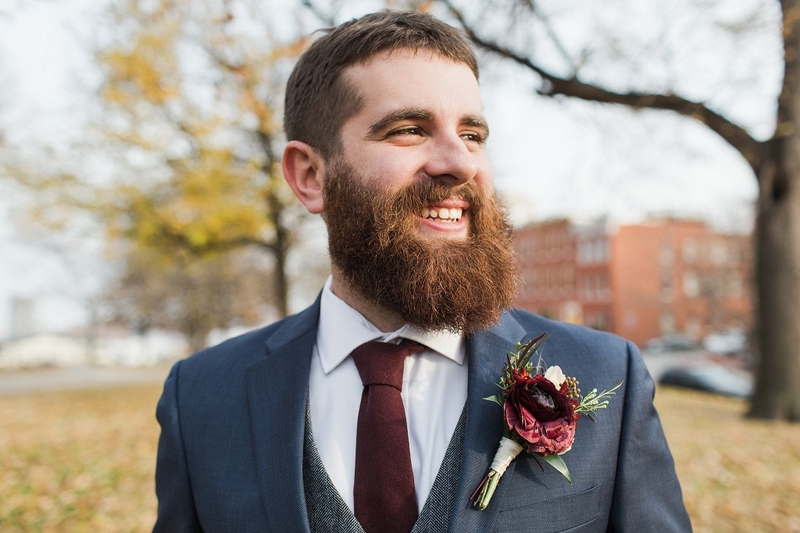 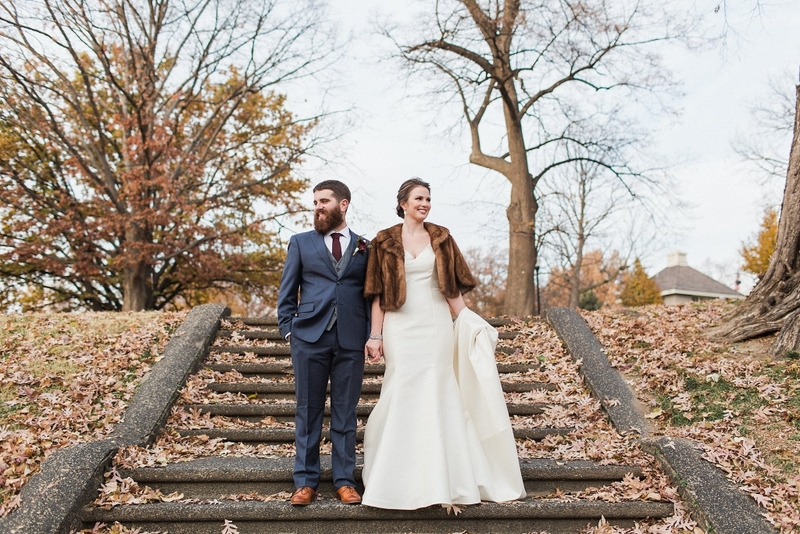 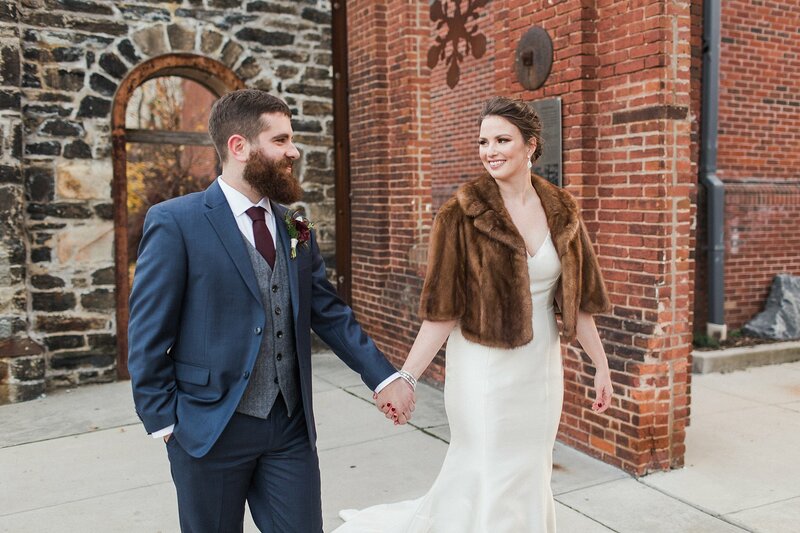 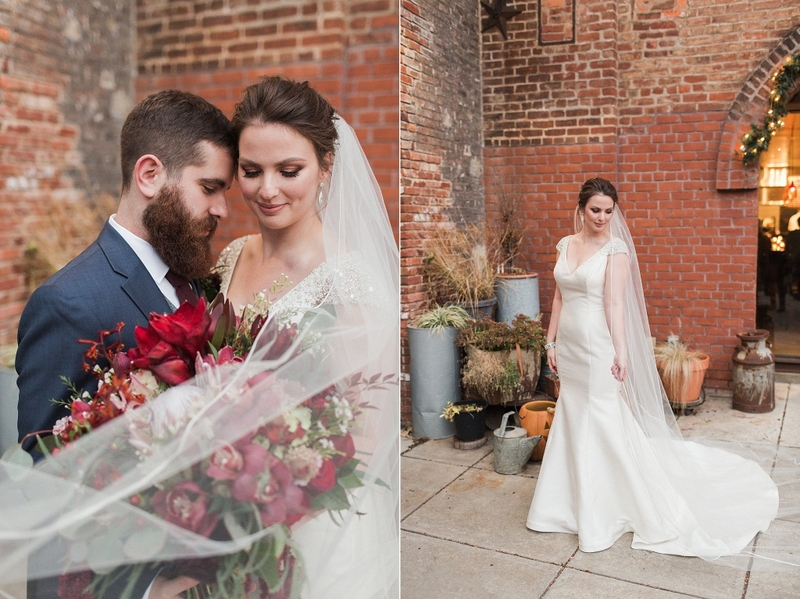 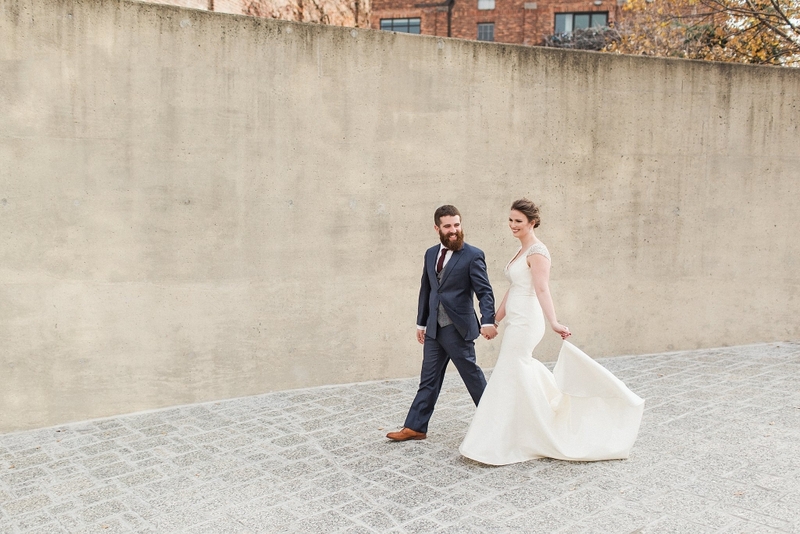 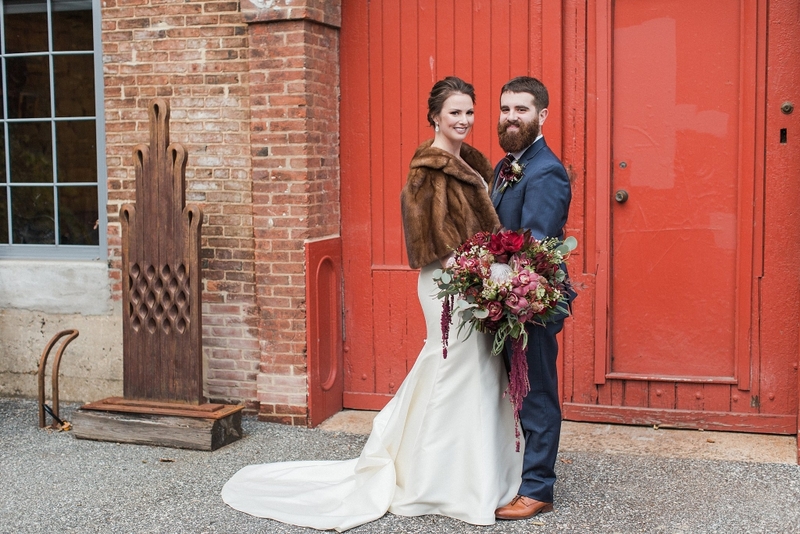 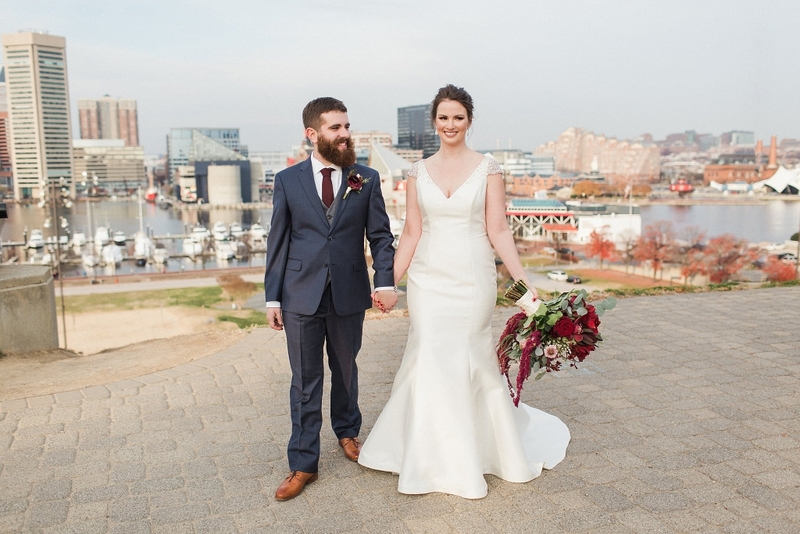 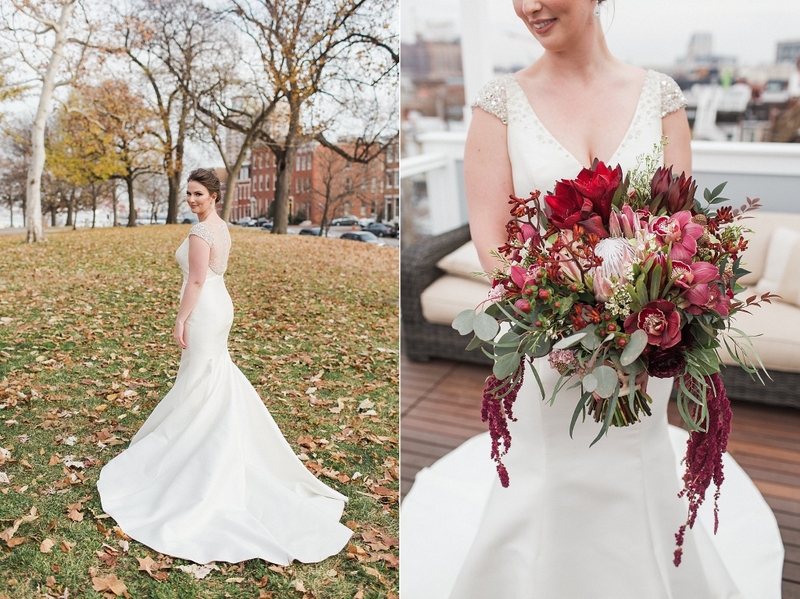 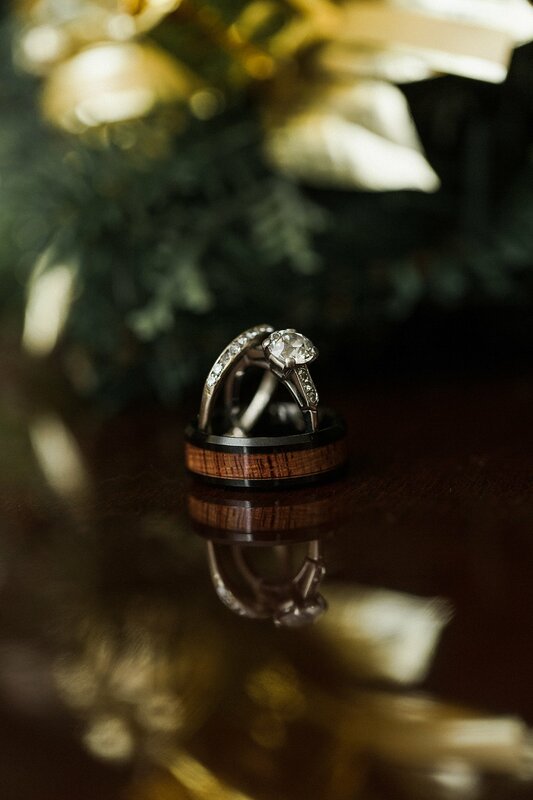 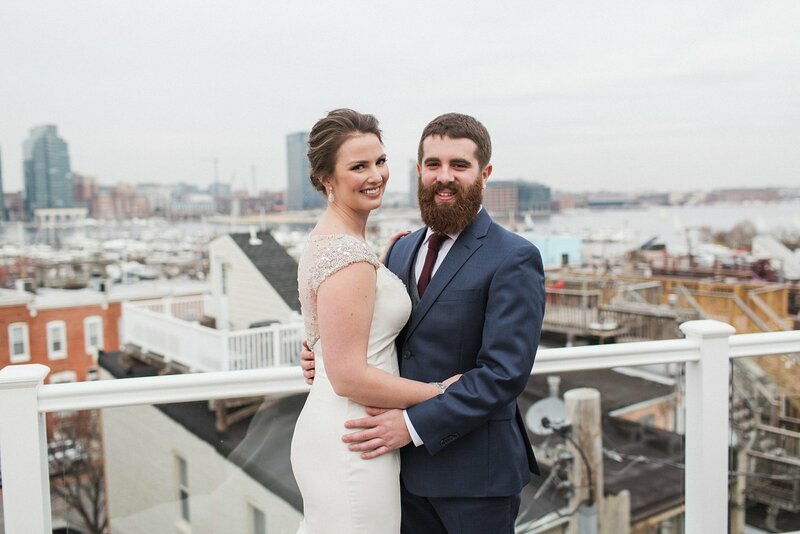 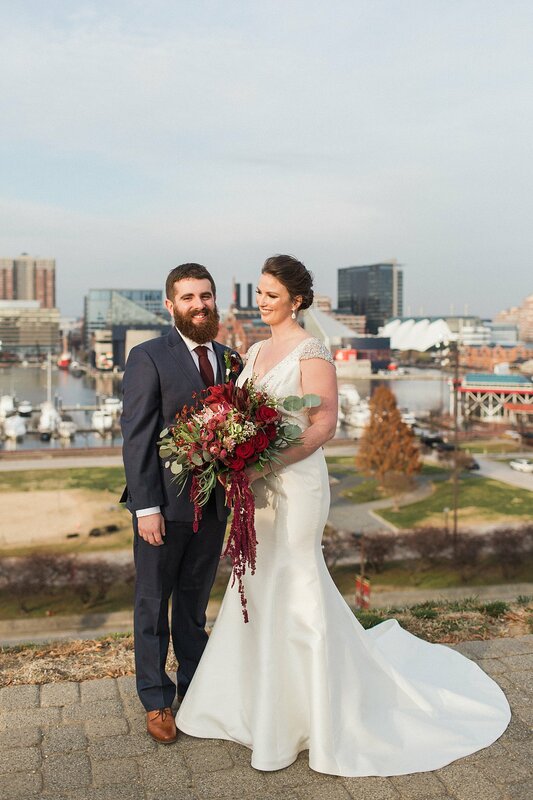 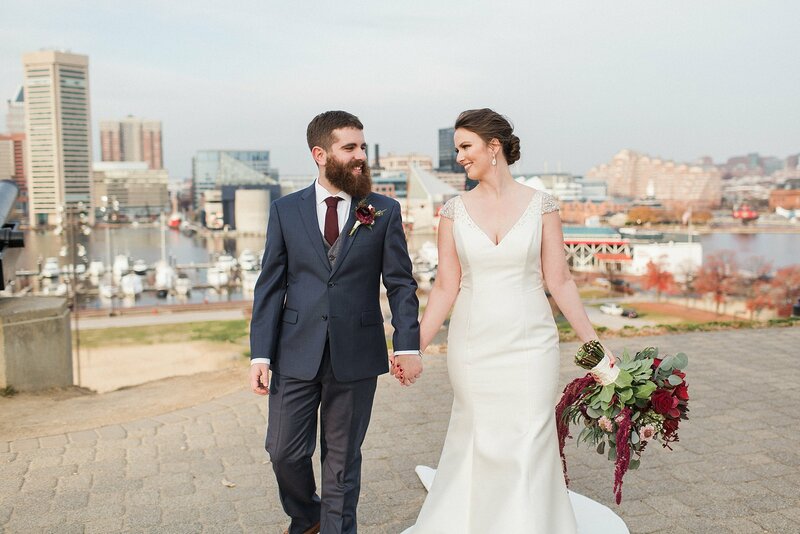 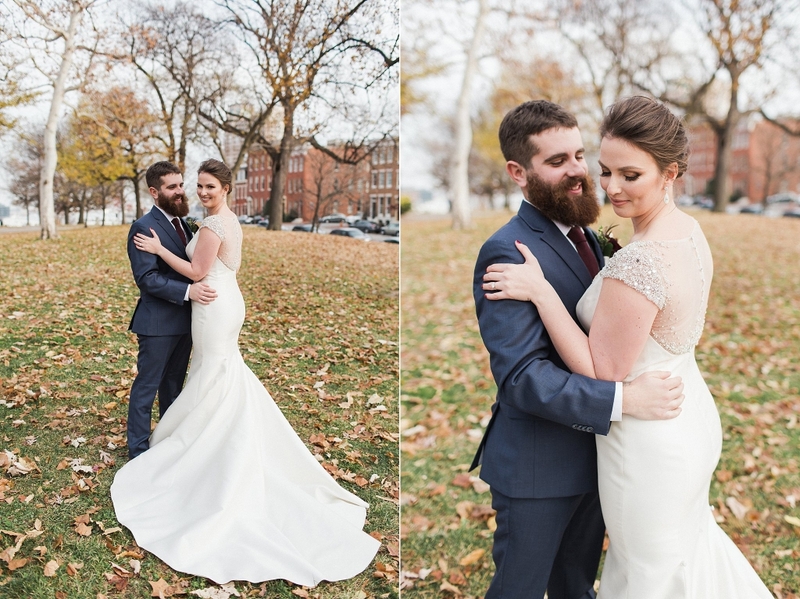 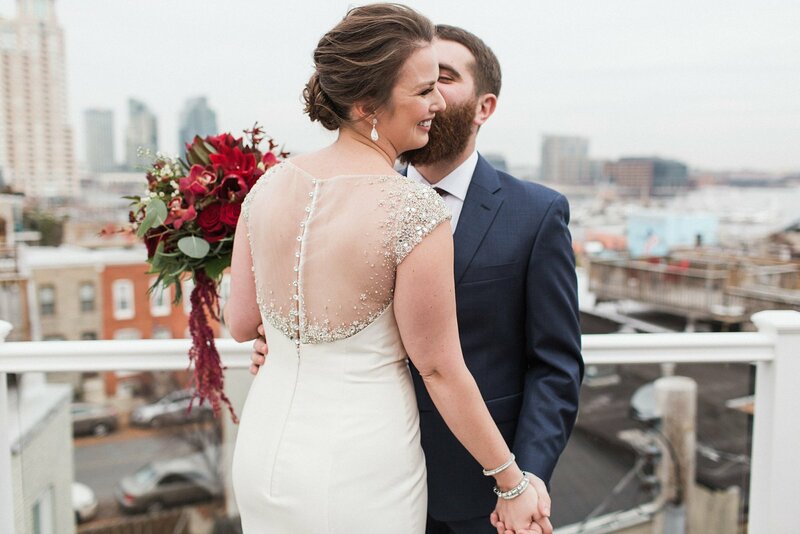 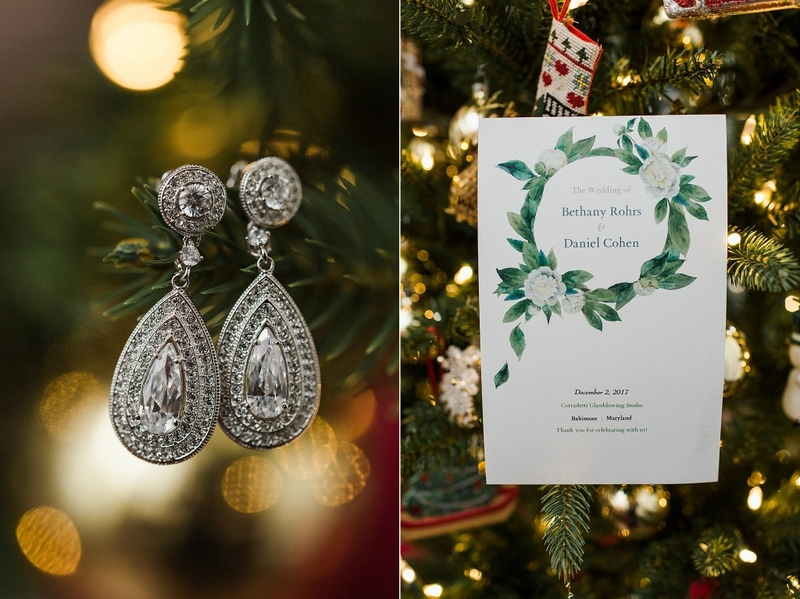 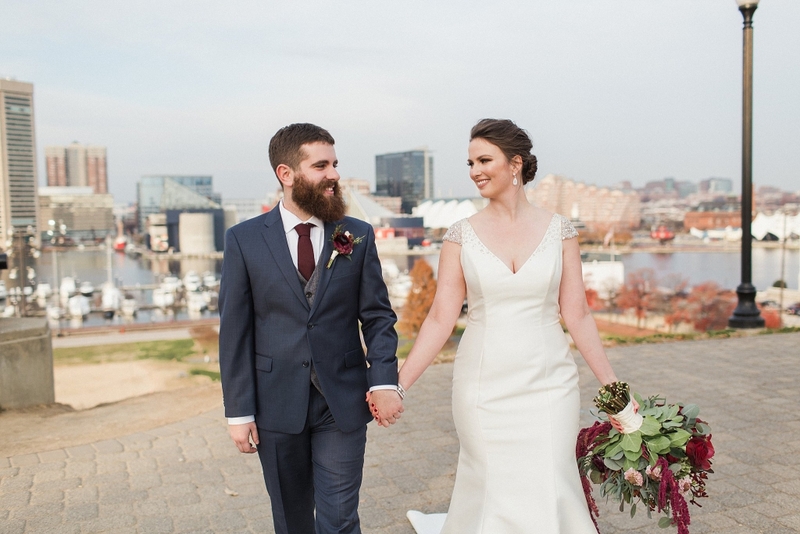 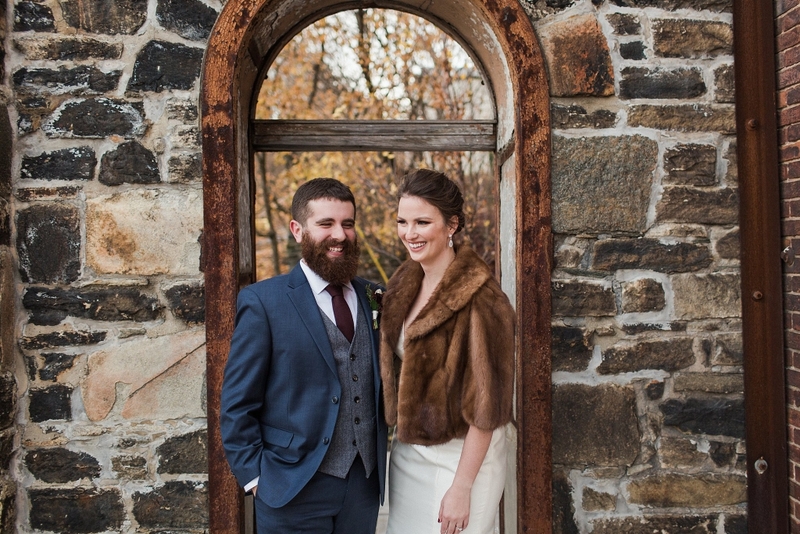 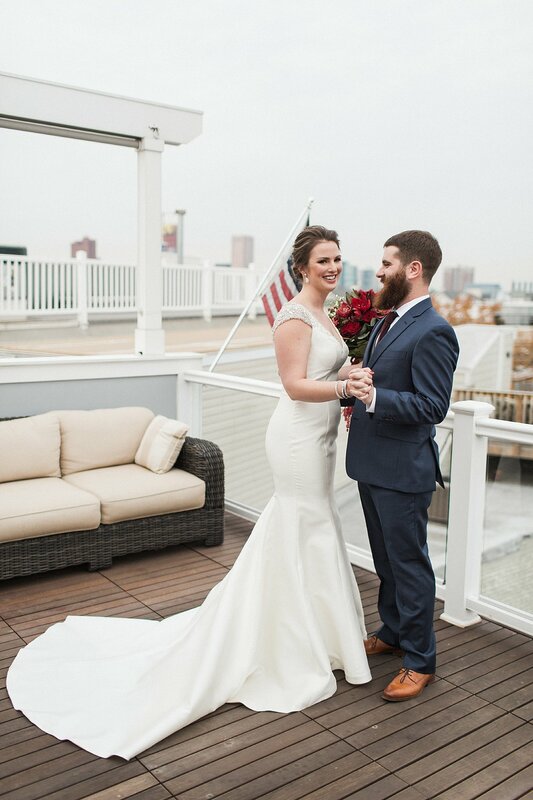 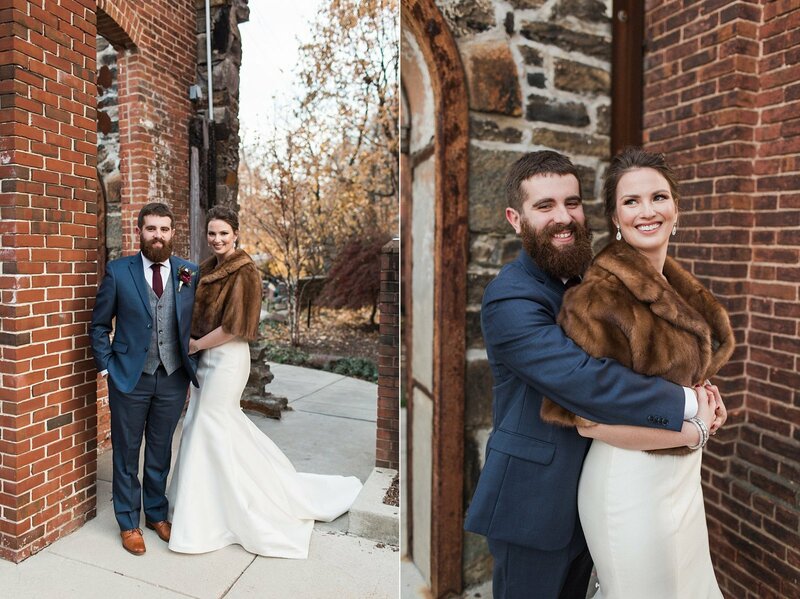 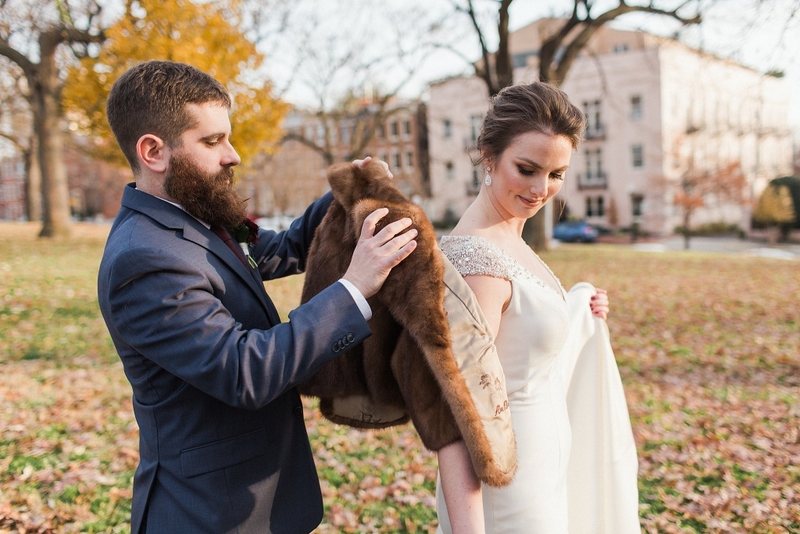 Bethany and Daniel were married on a beautiful December day in Baltimore, Maryland where they both reside. 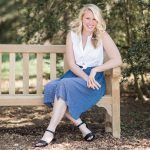 Bethany prepared for the day at a family members home. 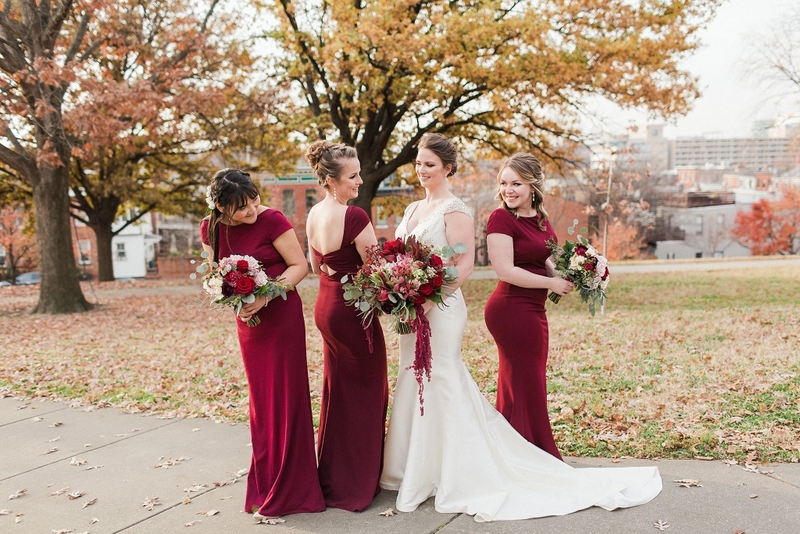 She and her bridesmaids got all dolled up with the amazing Caitlyn Meyer Hair and Makeup. 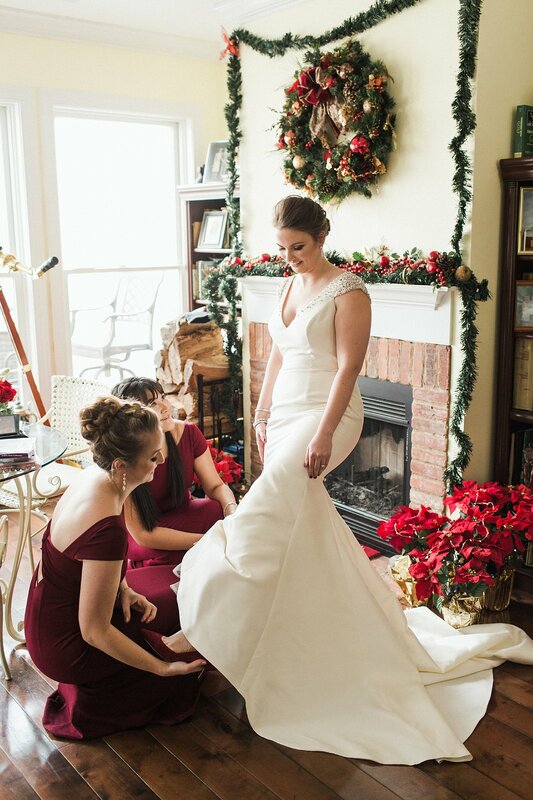 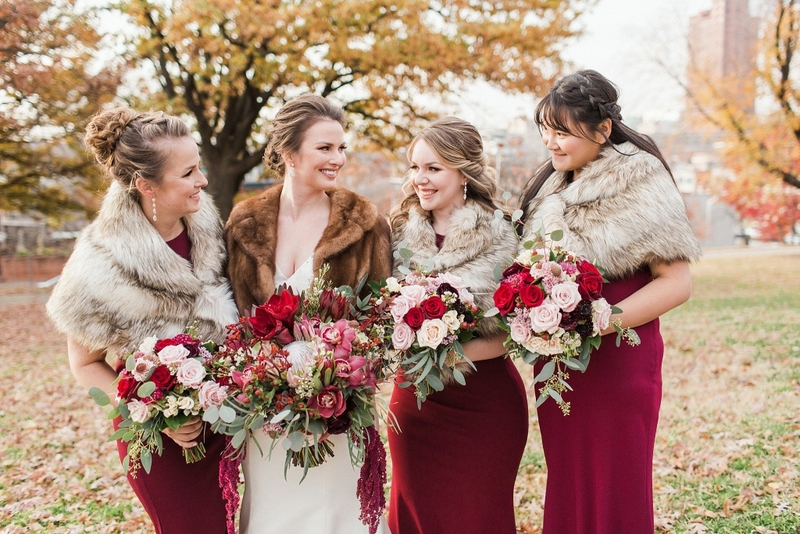 Bethany’s bridesmaids were as sweet as can be and helped her into her Badgley Mischka gown. 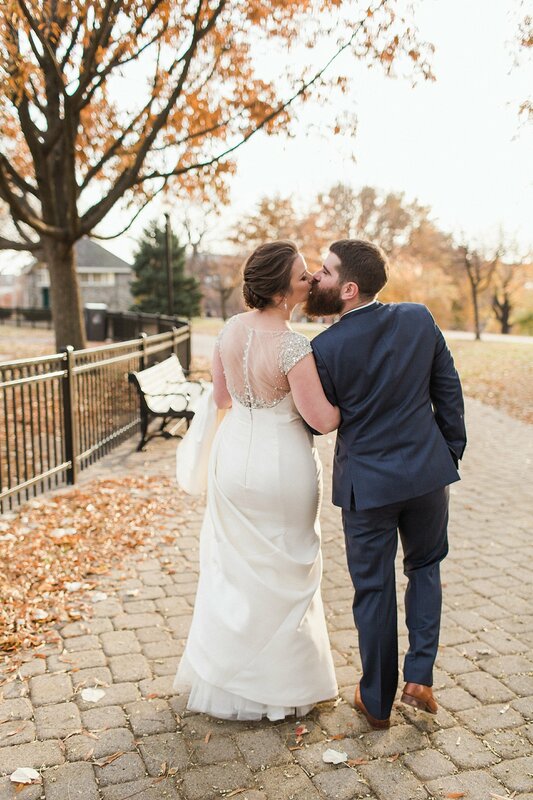 It fit her like a glove! 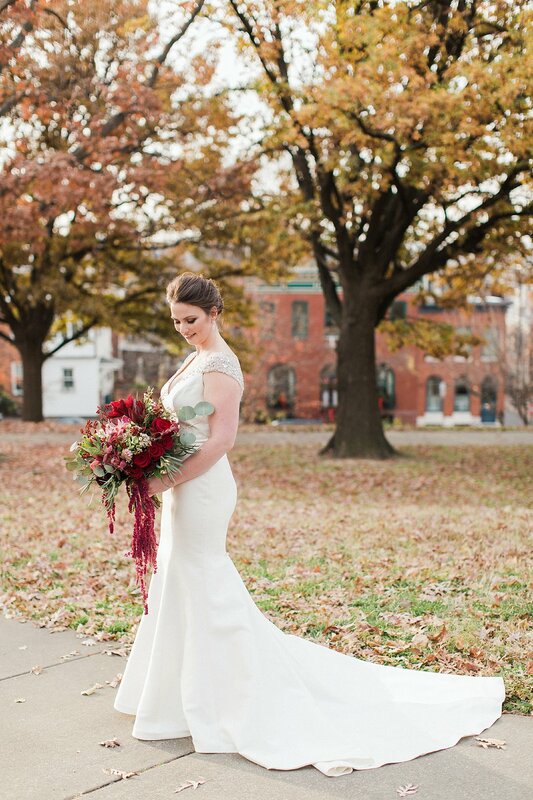 The sparkling details on the illusion neckline were absolutely breathtaking! 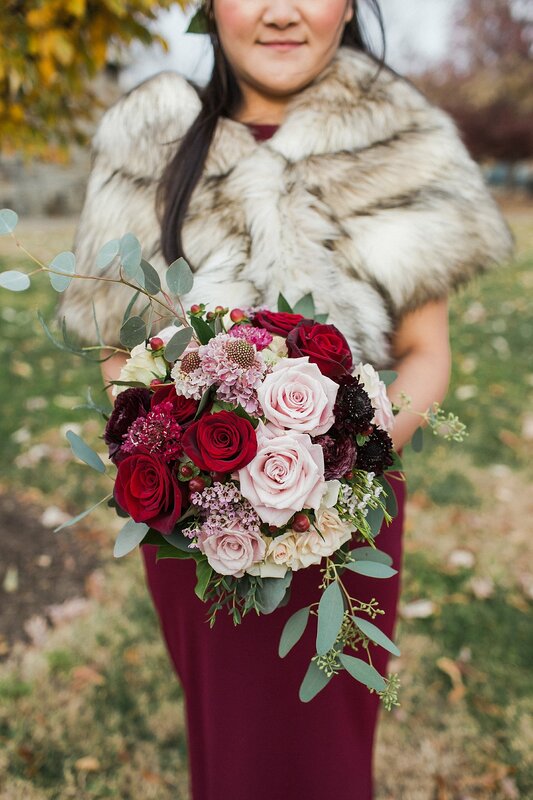 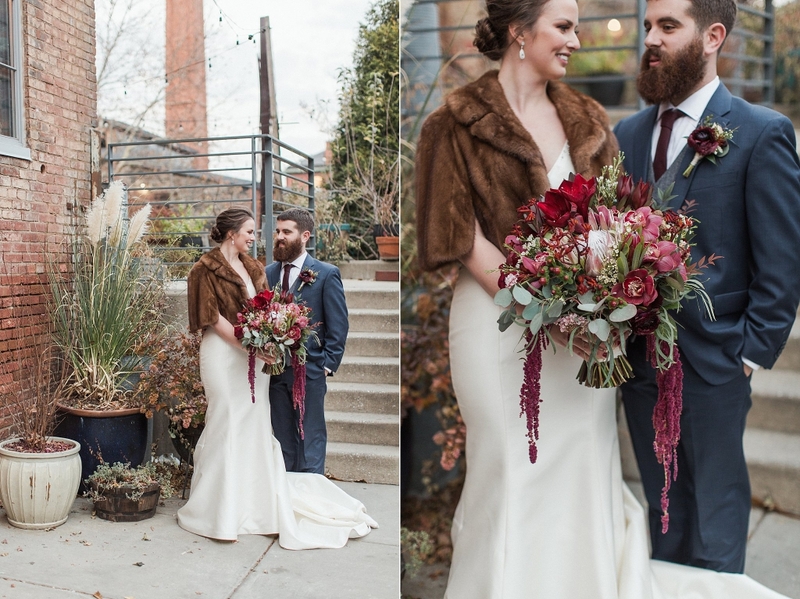 Bethany grabbed her bouquet made by the amazing Ann’s Garden and was ready for her first look with Daniel. 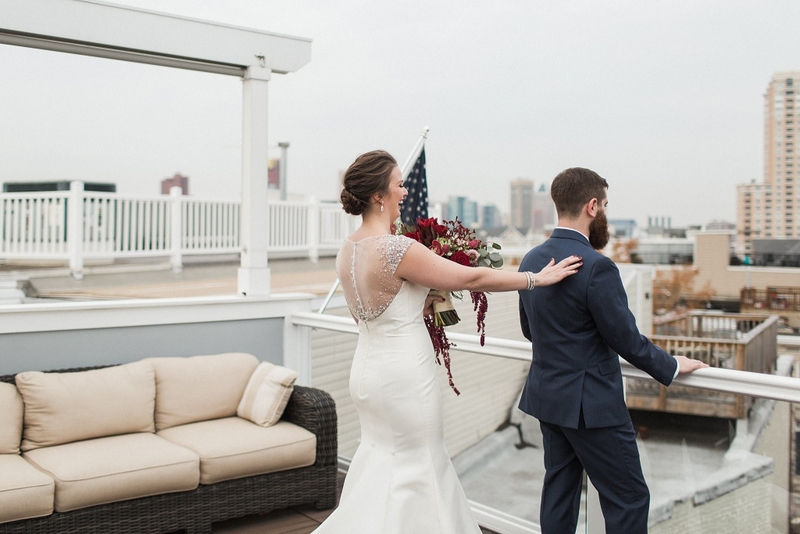 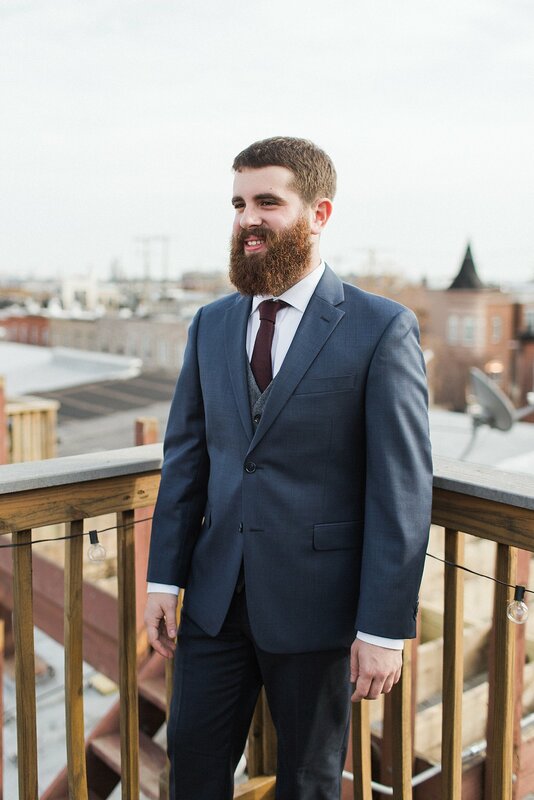 Daniel was waiting on the rooftop deck which overlooked the Baltimore skyline. 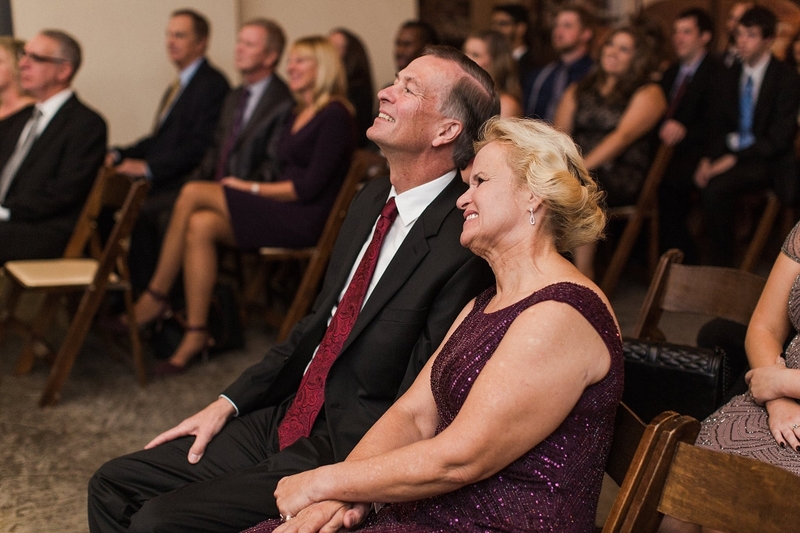 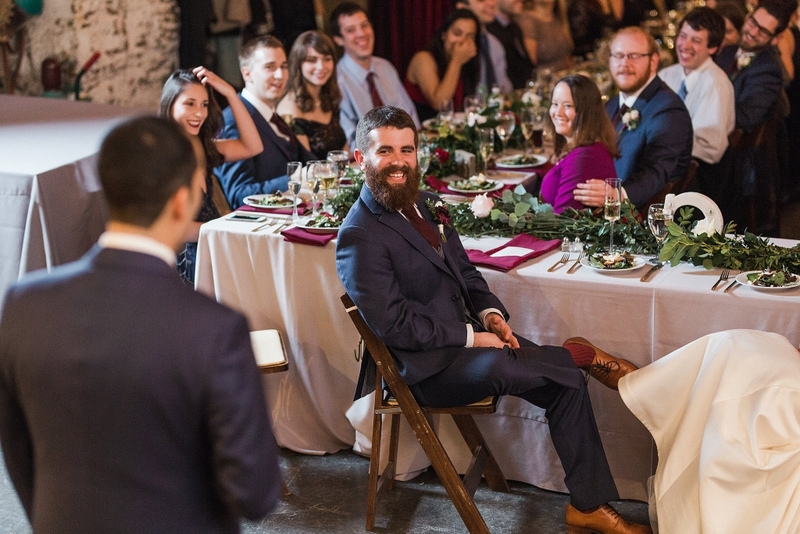 You could see his excitement and nerves as he waited for his bride. 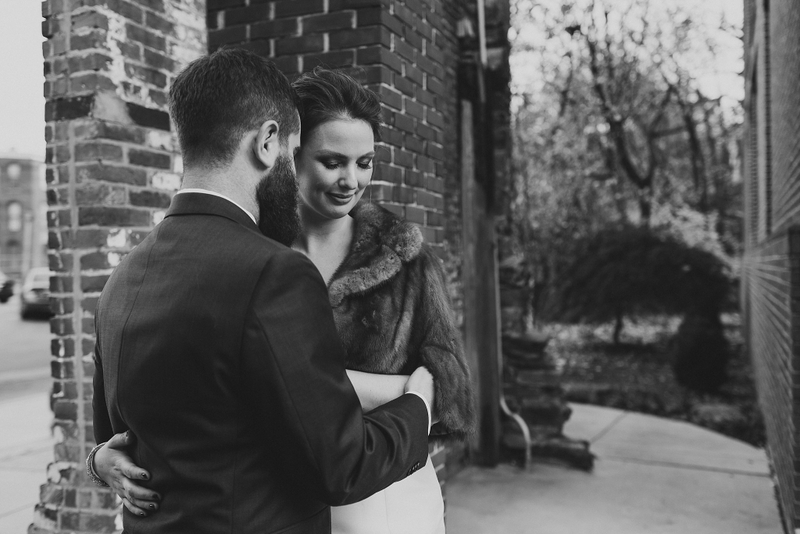 Bethany walked up to her groom and they shared a beautiful moment. 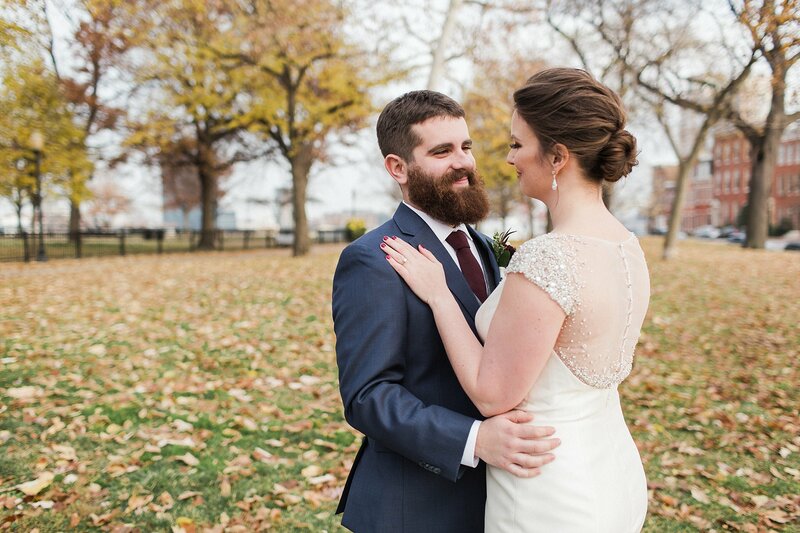 The smiles on both of their faces said it all. 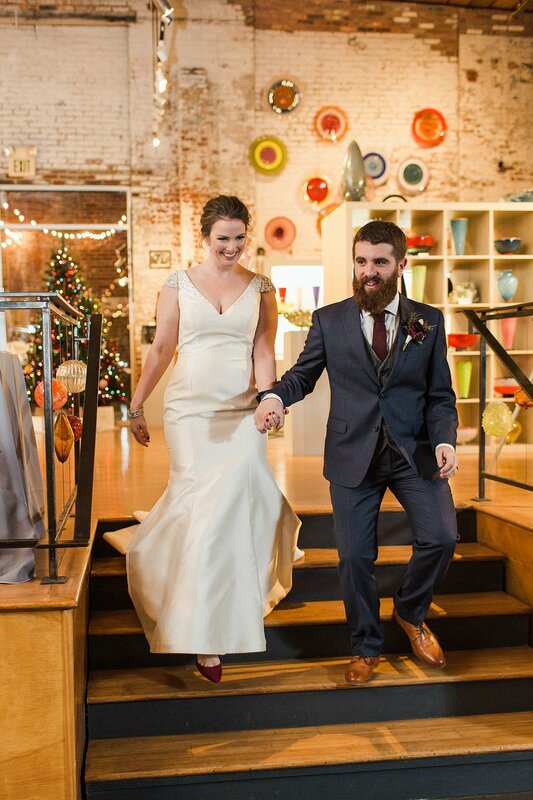 They were ready to become husband and wife. 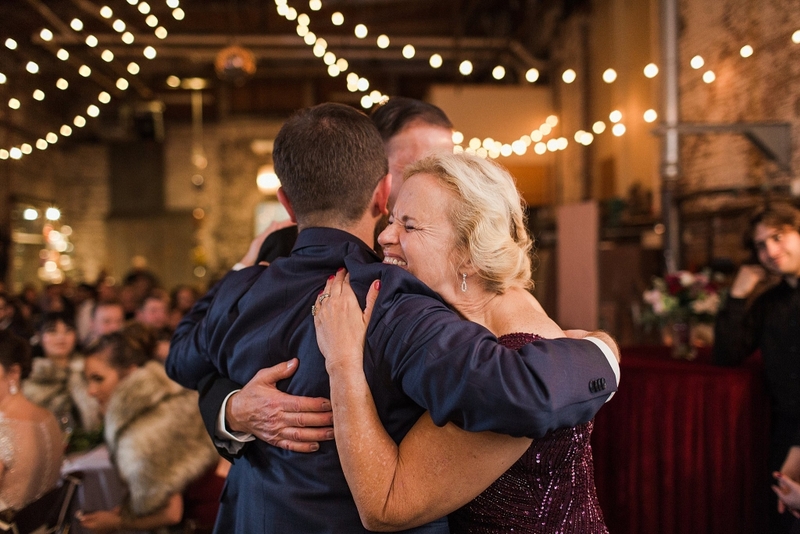 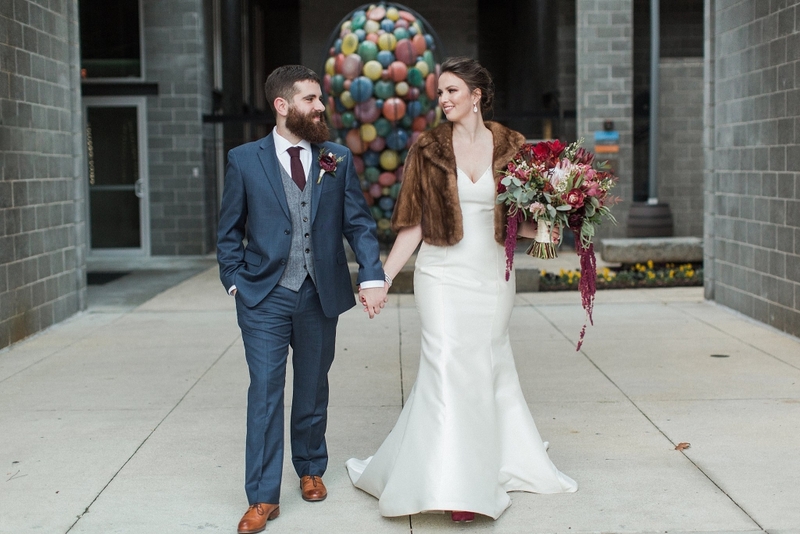 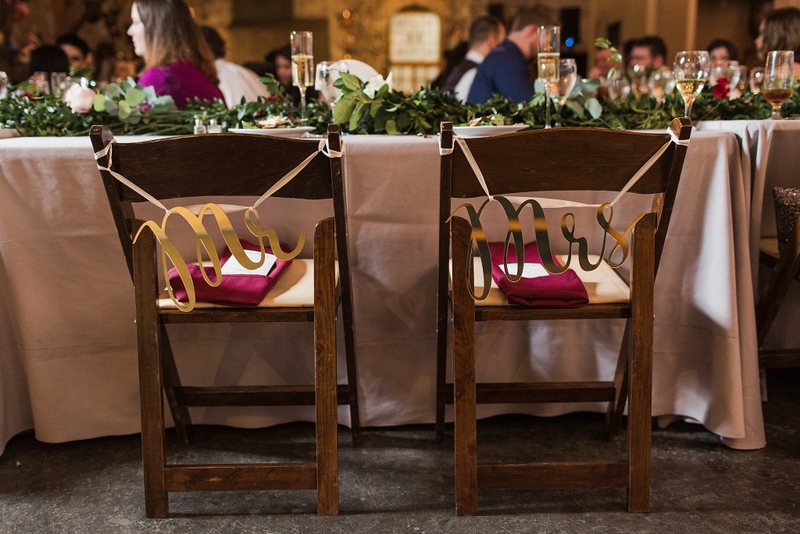 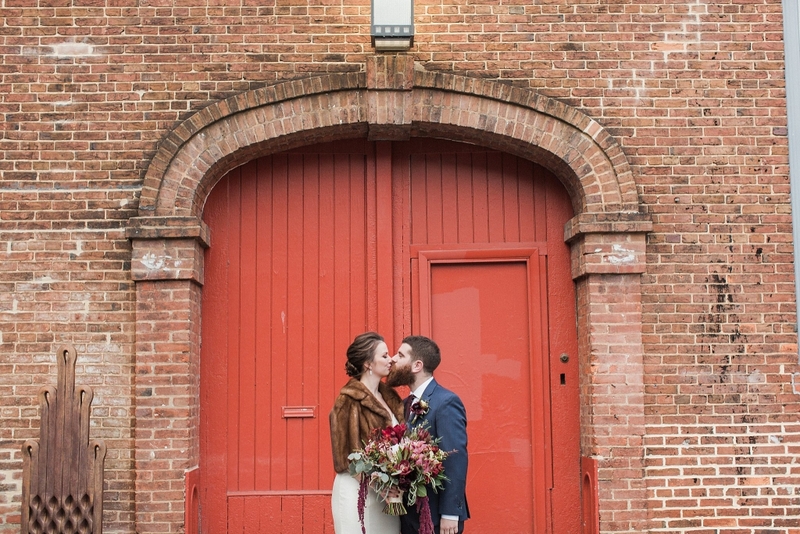 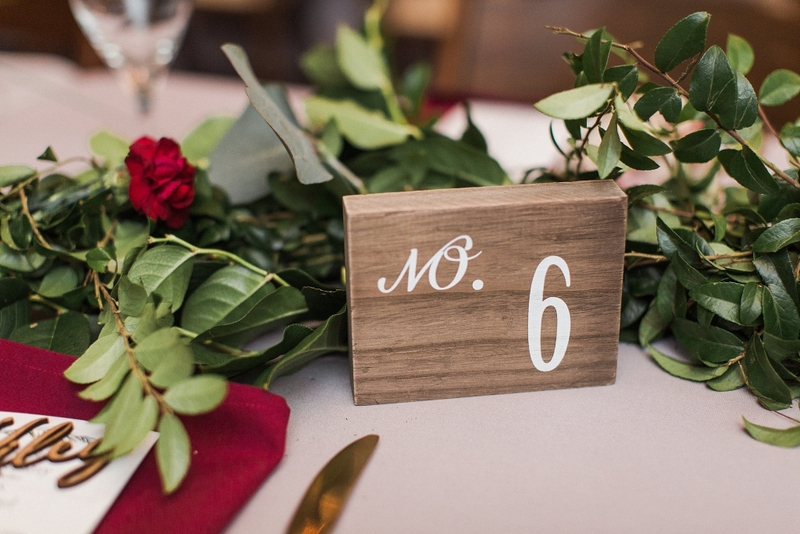 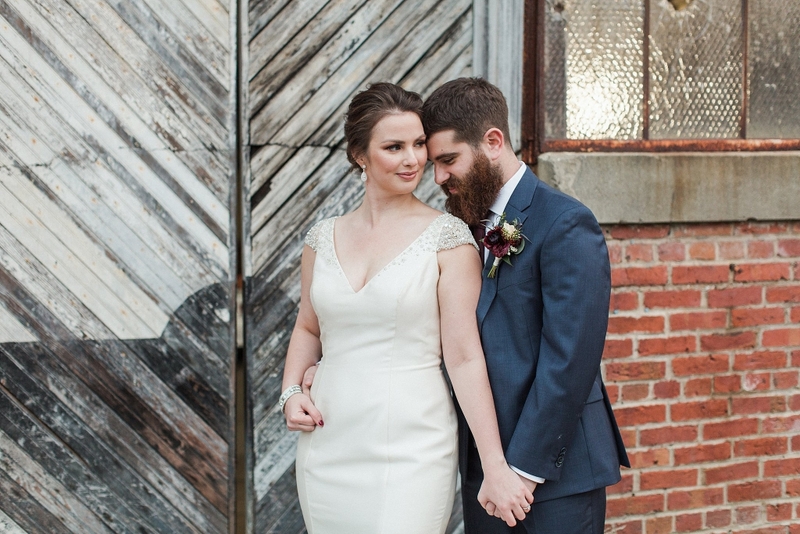 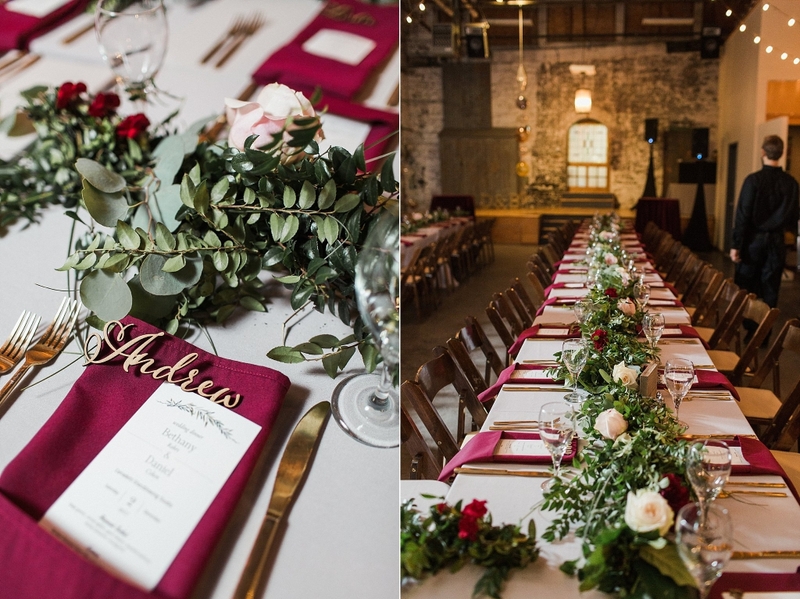 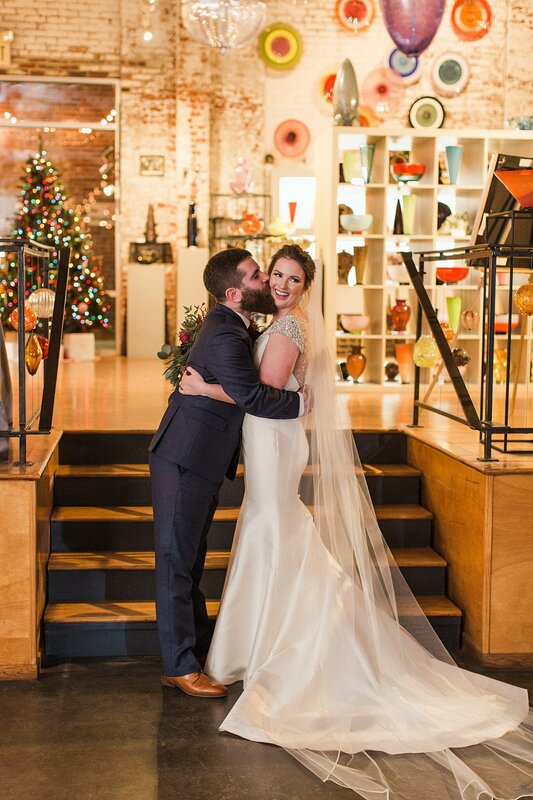 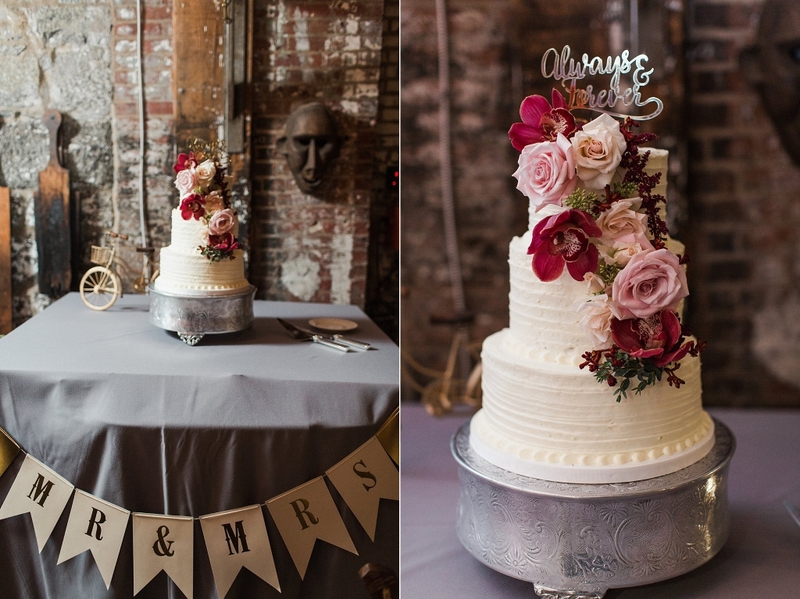 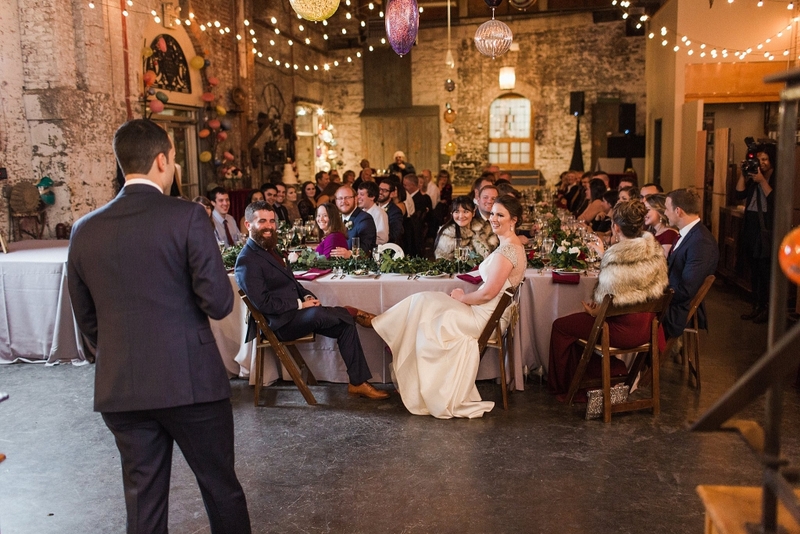 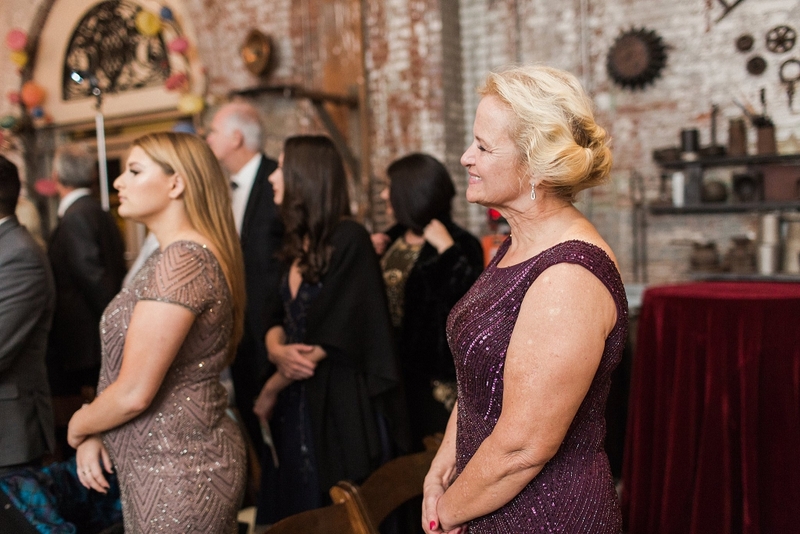 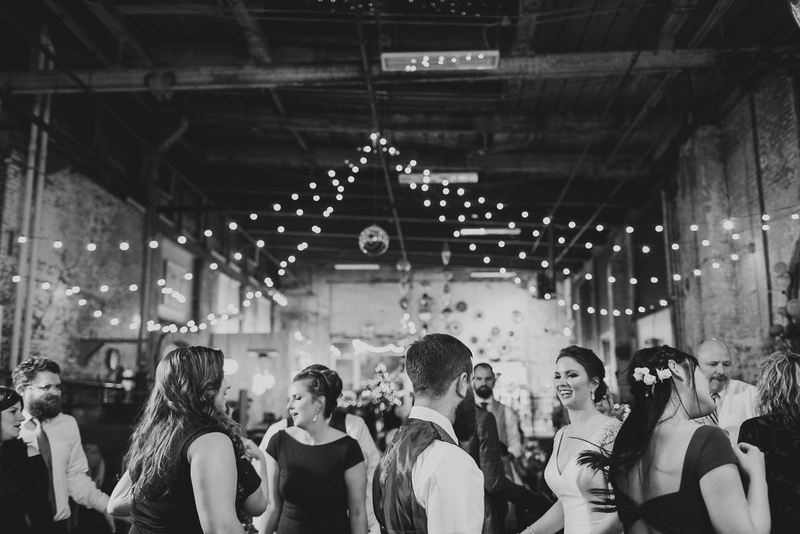 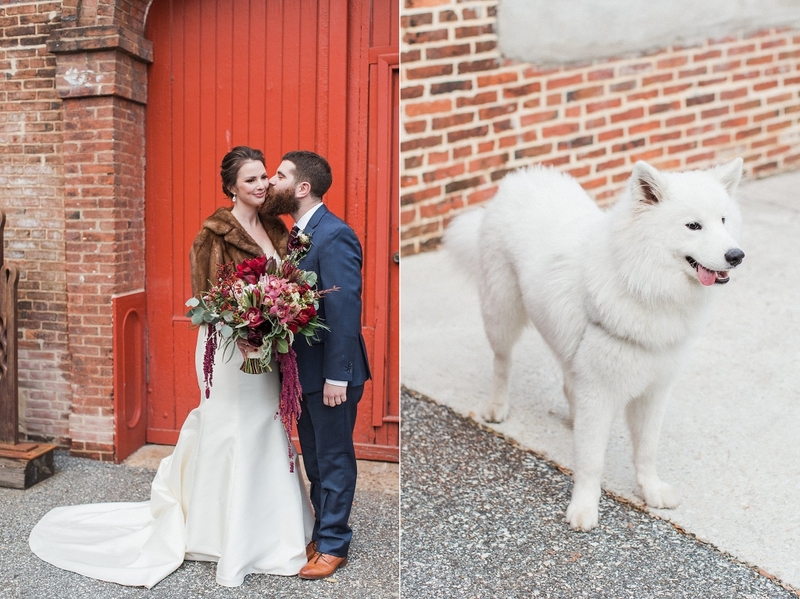 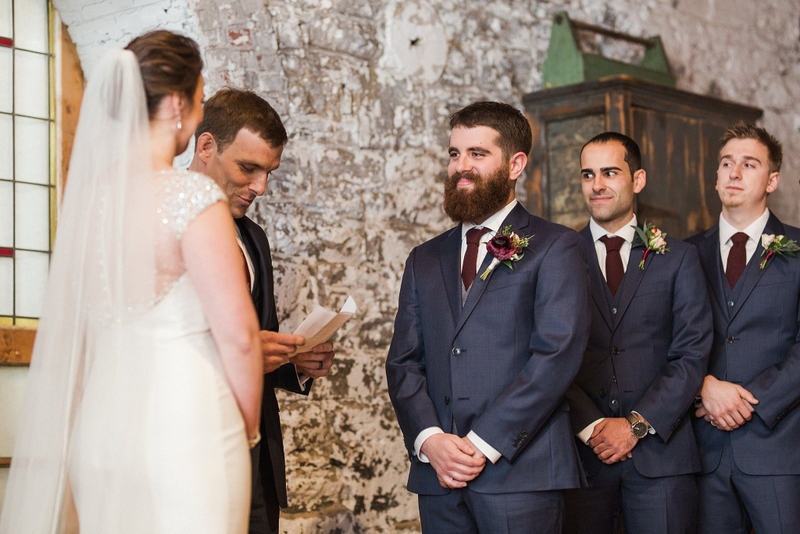 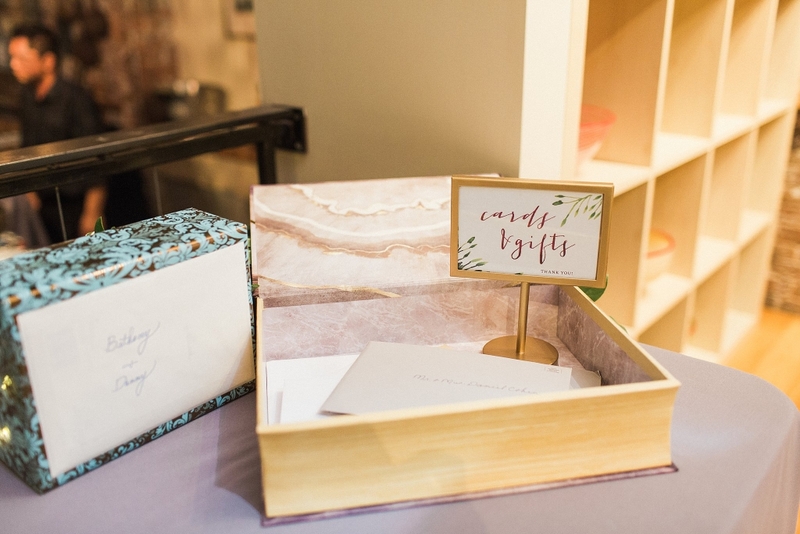 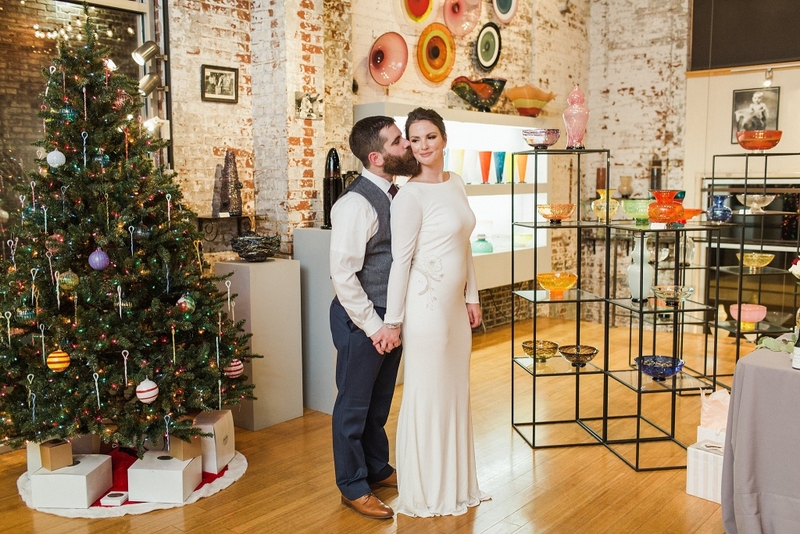 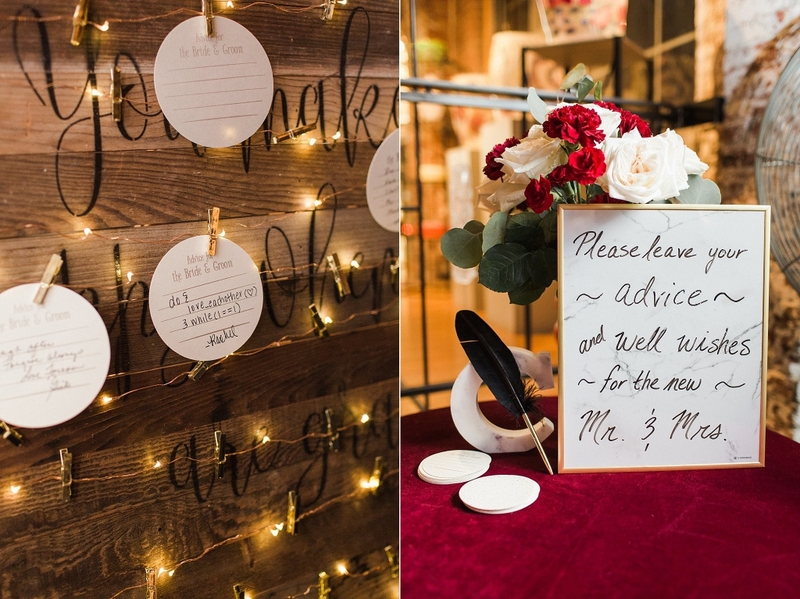 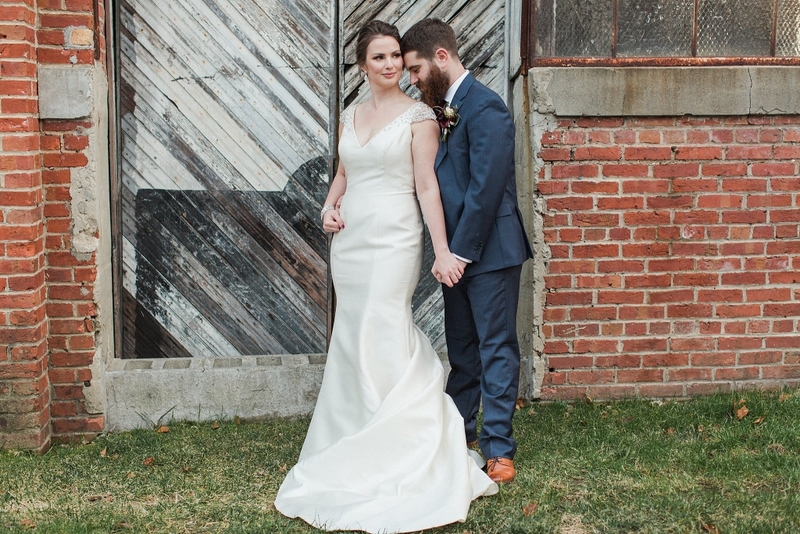 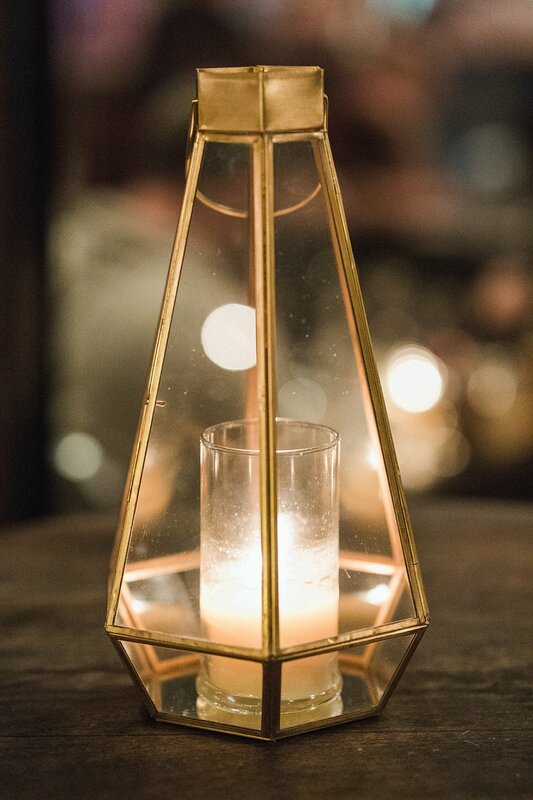 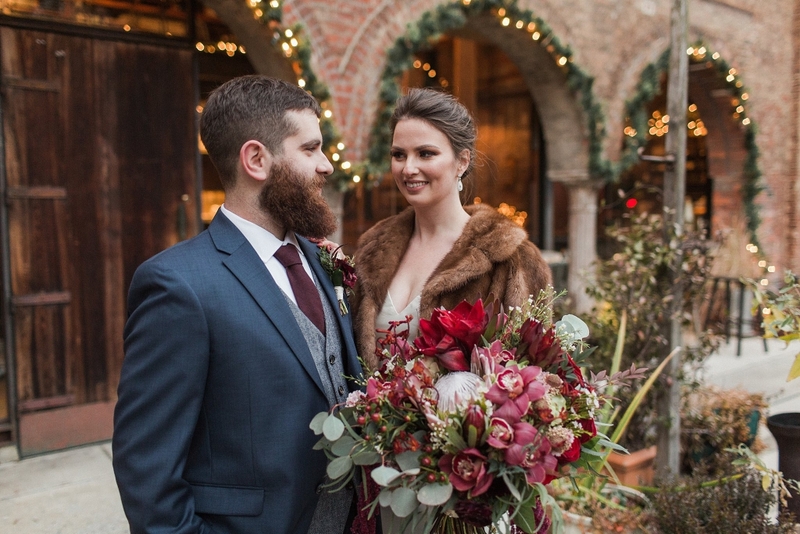 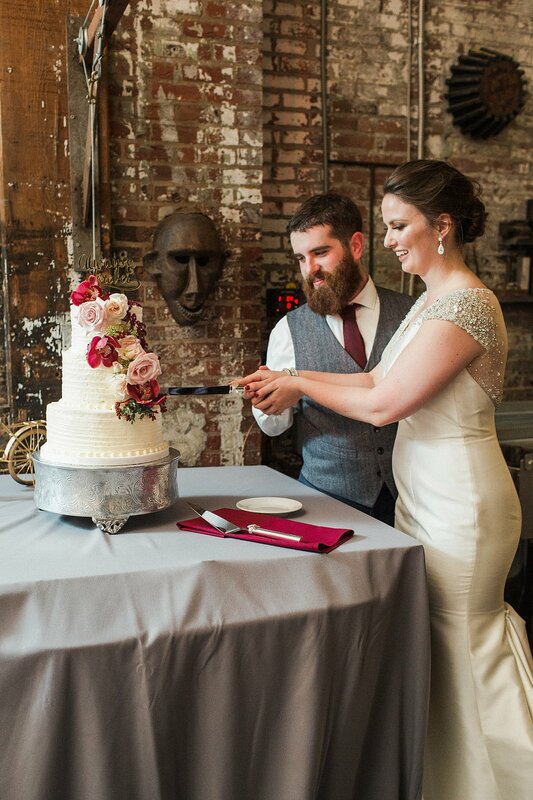 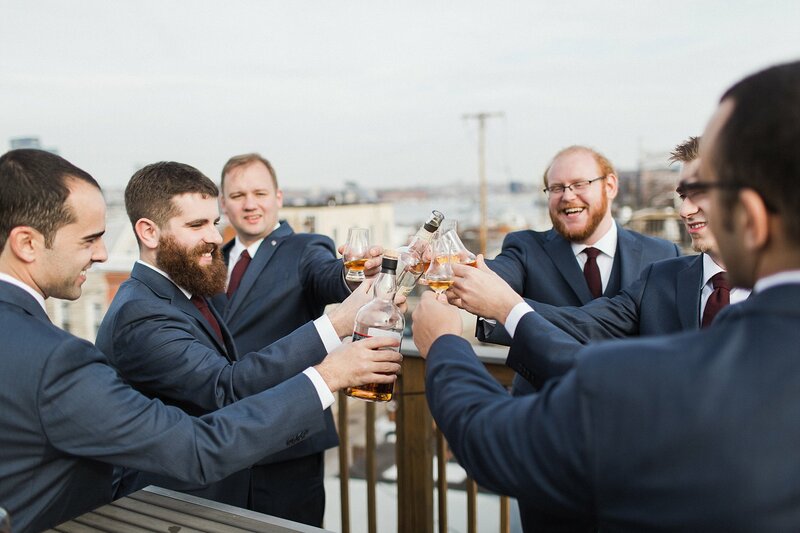 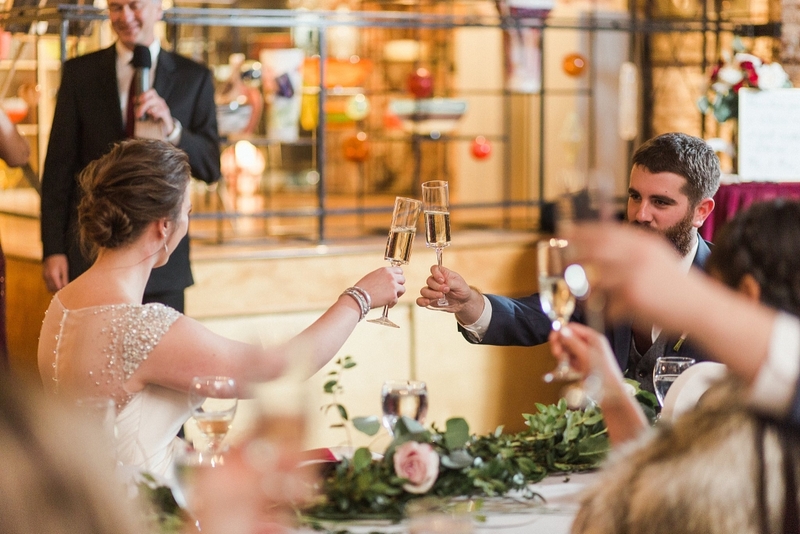 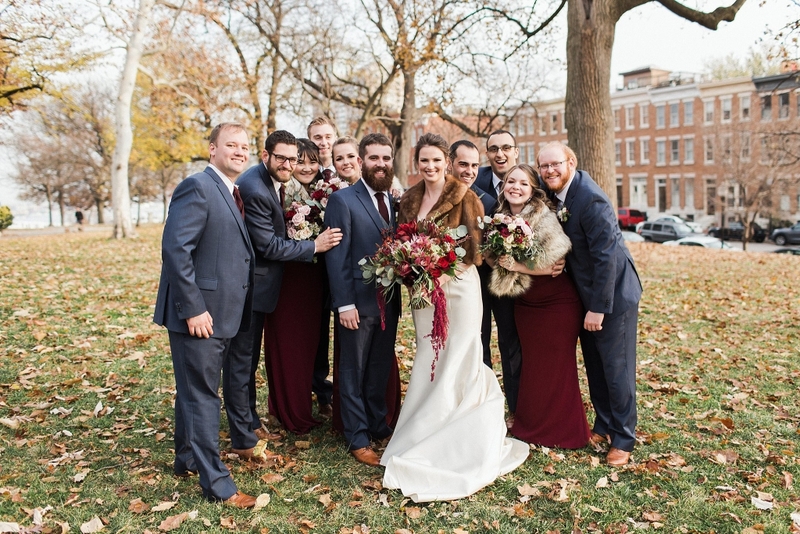 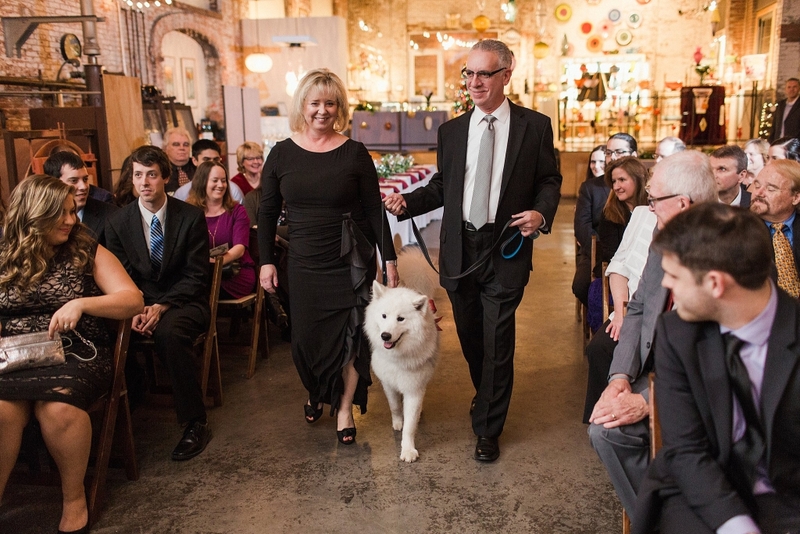 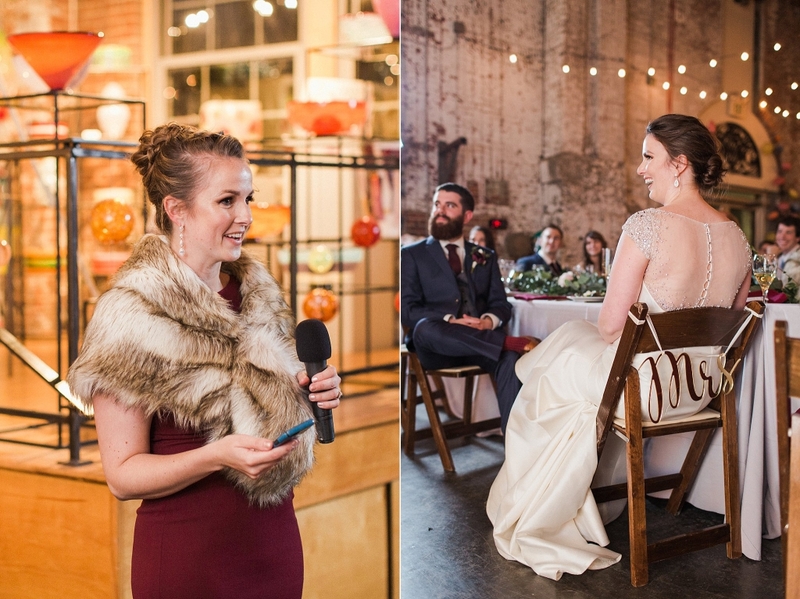 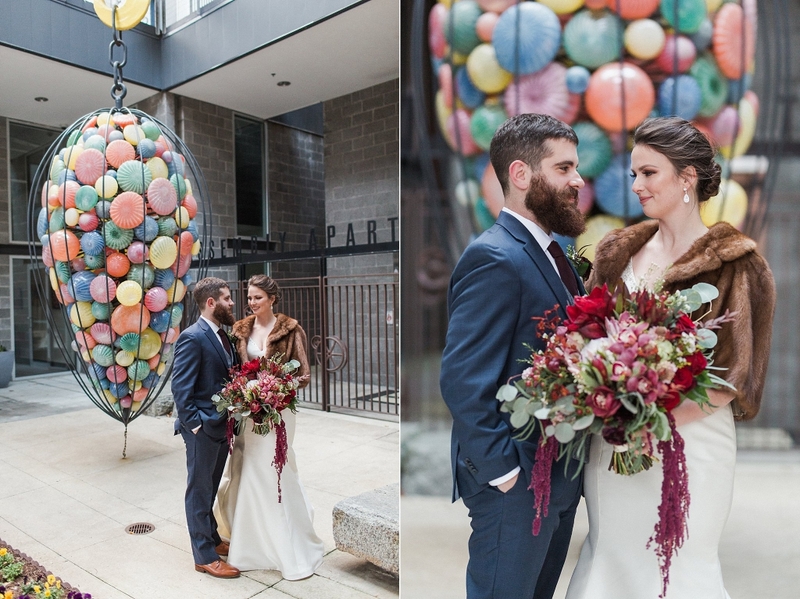 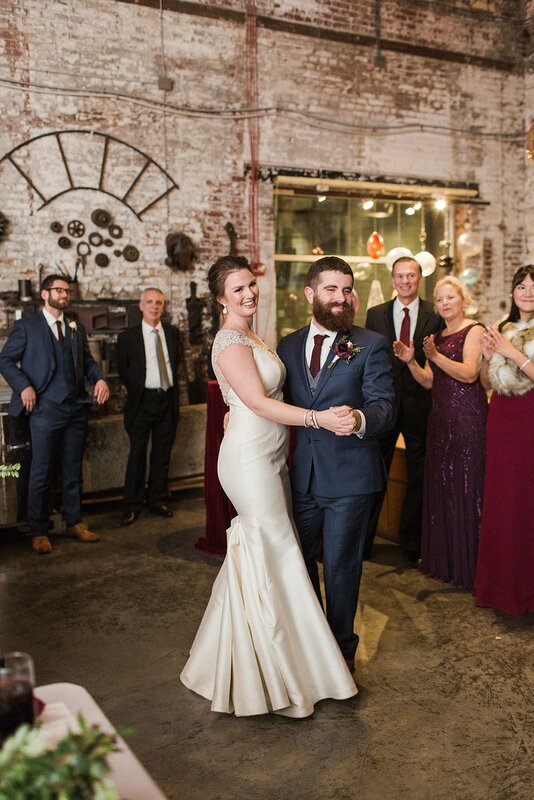 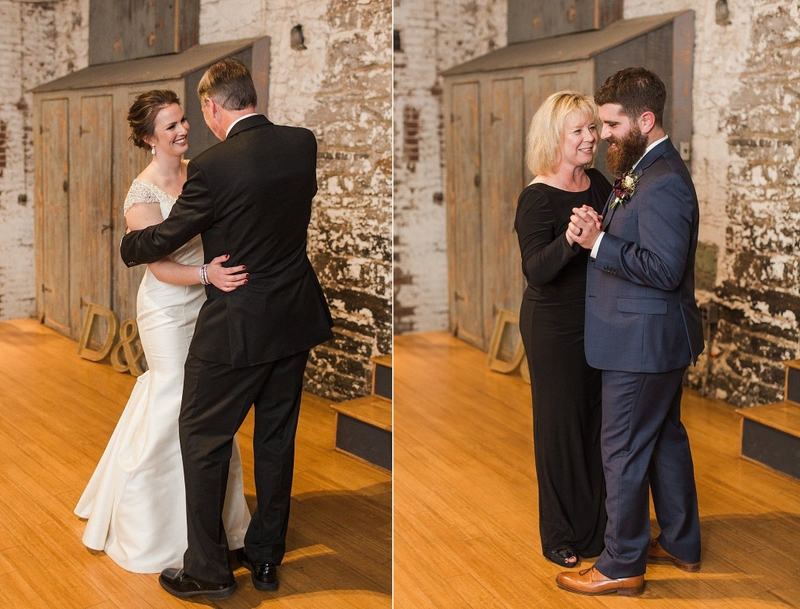 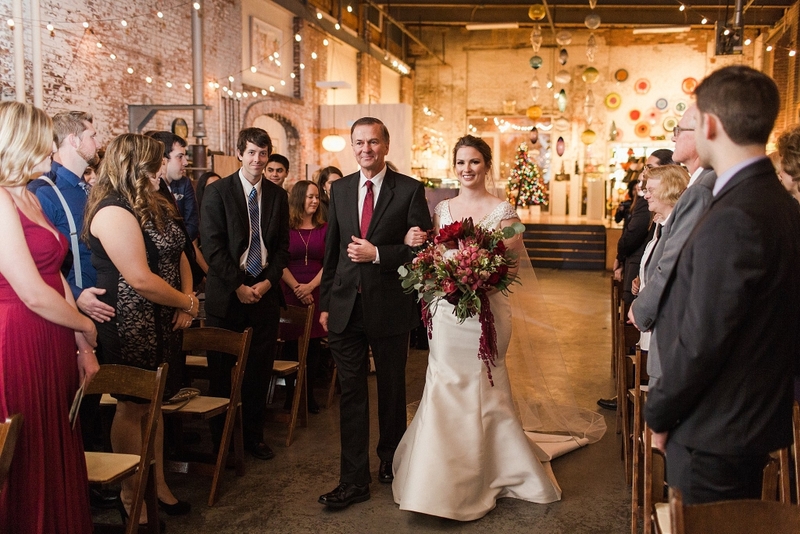 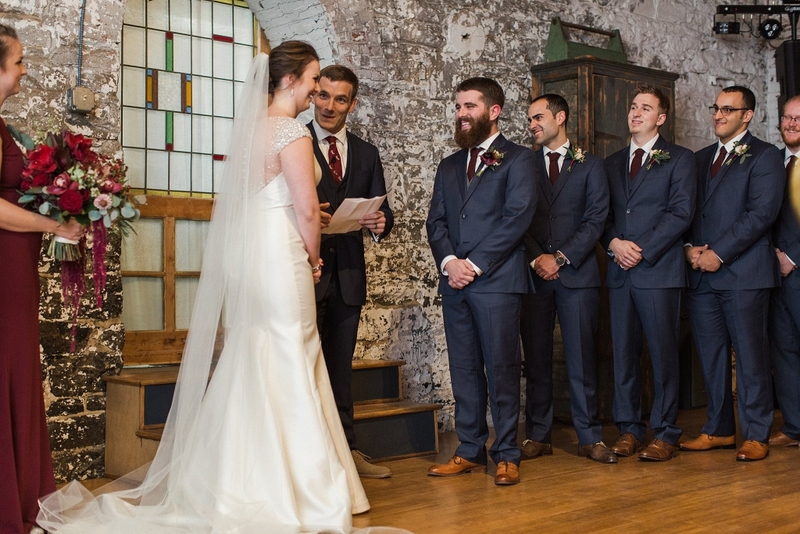 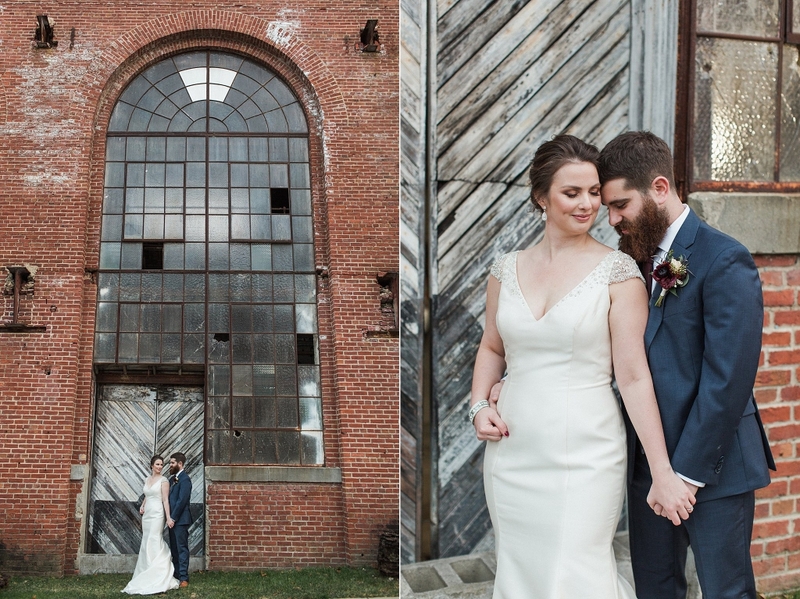 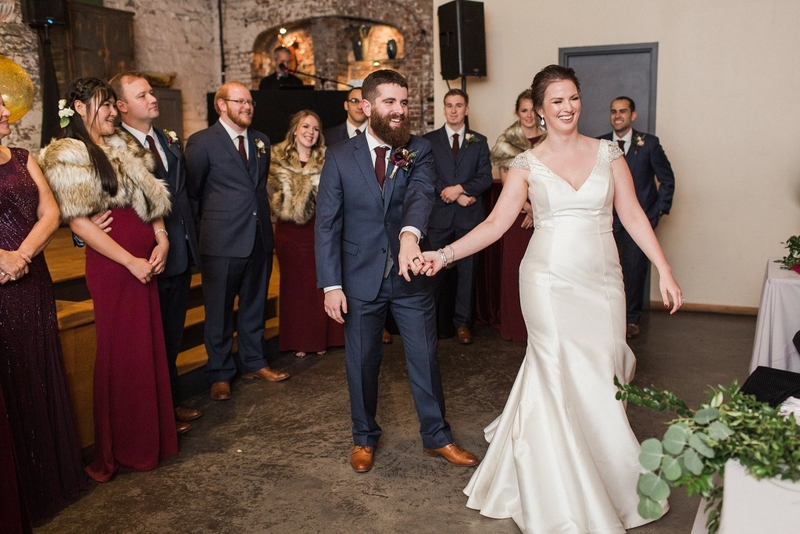 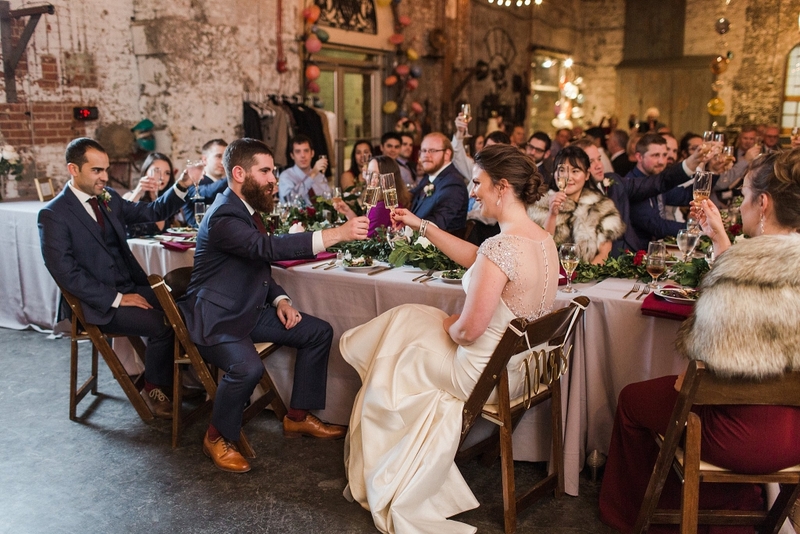 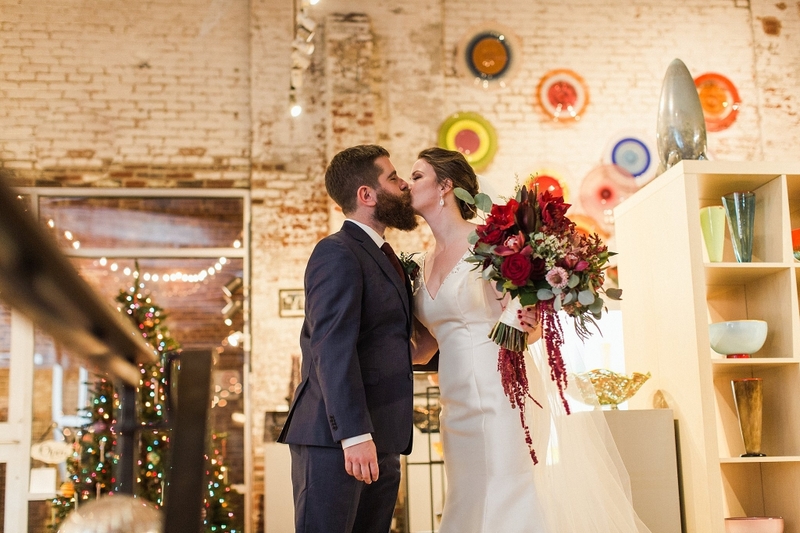 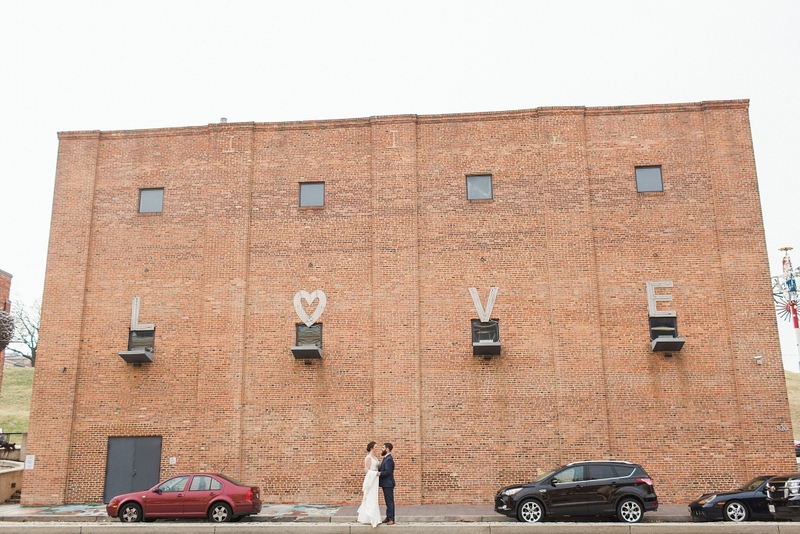 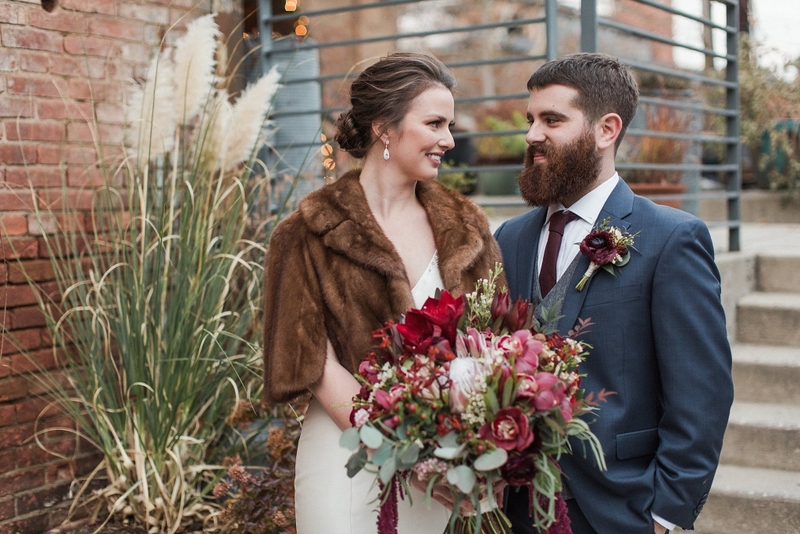 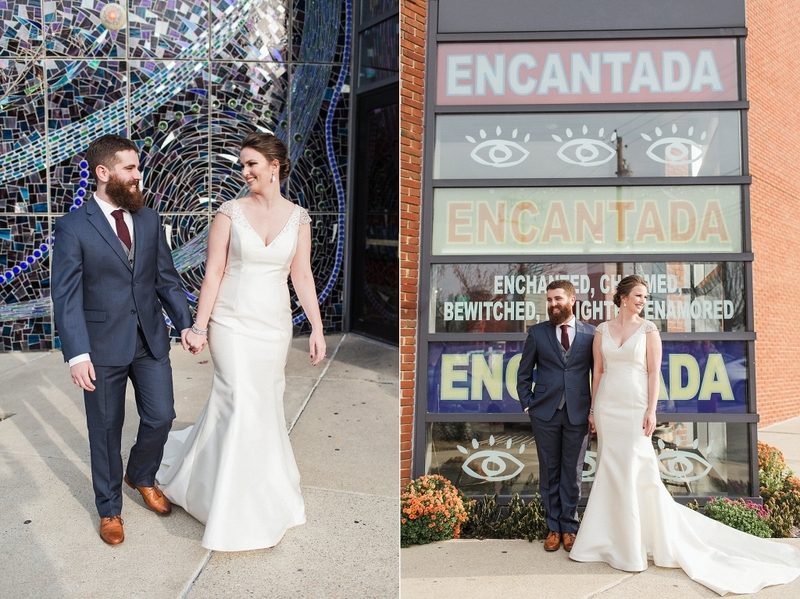 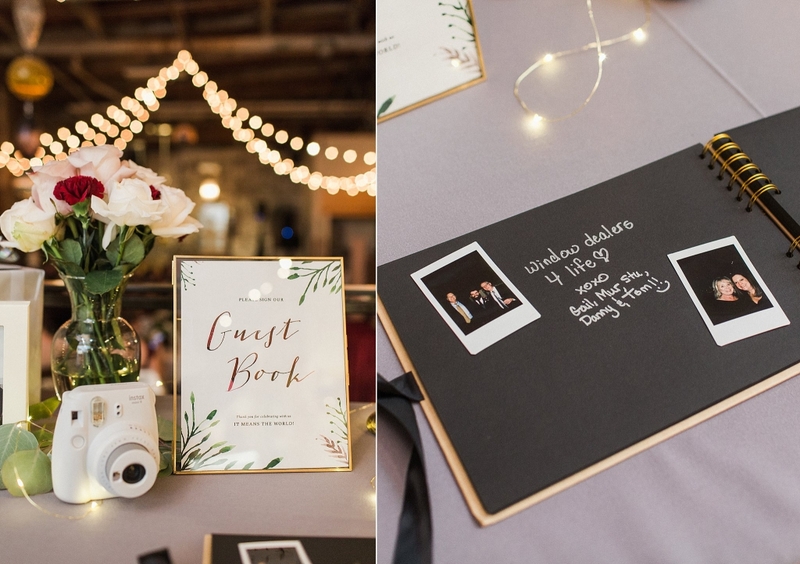 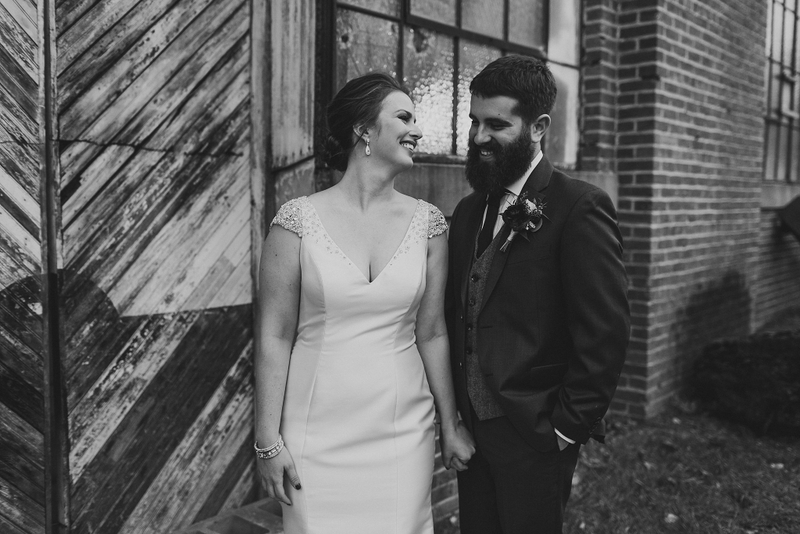 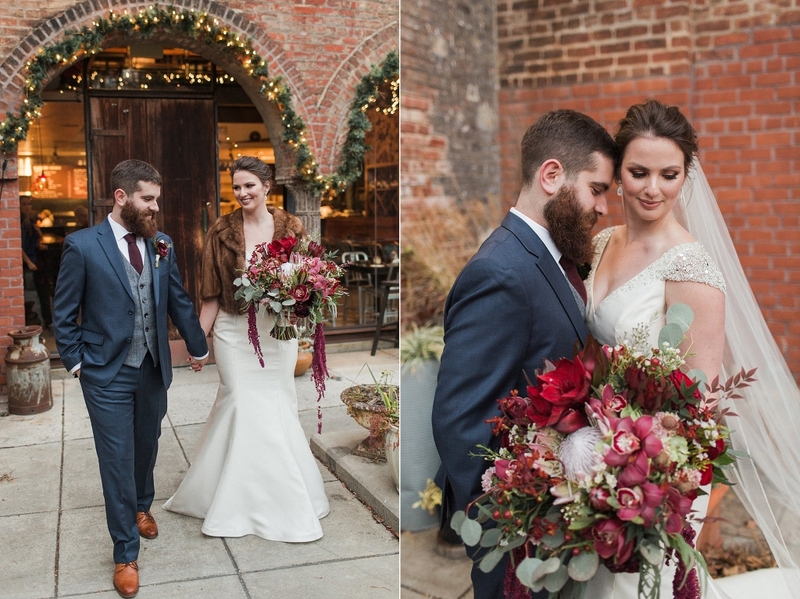 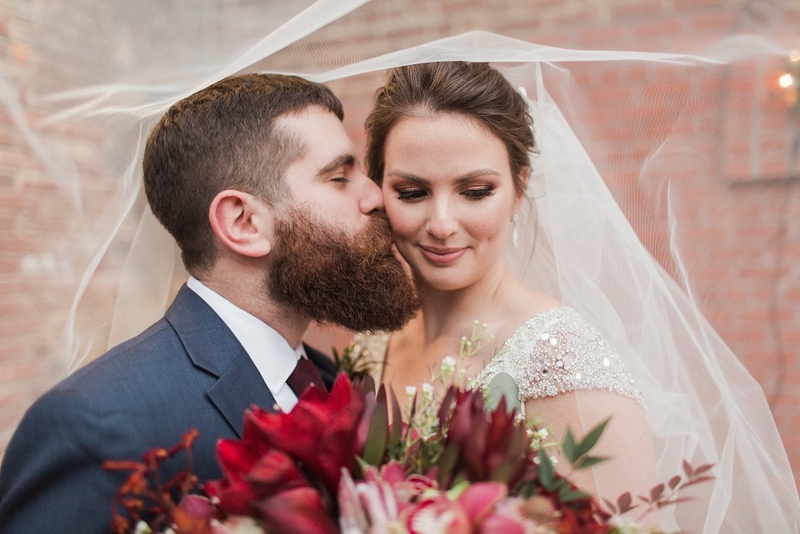 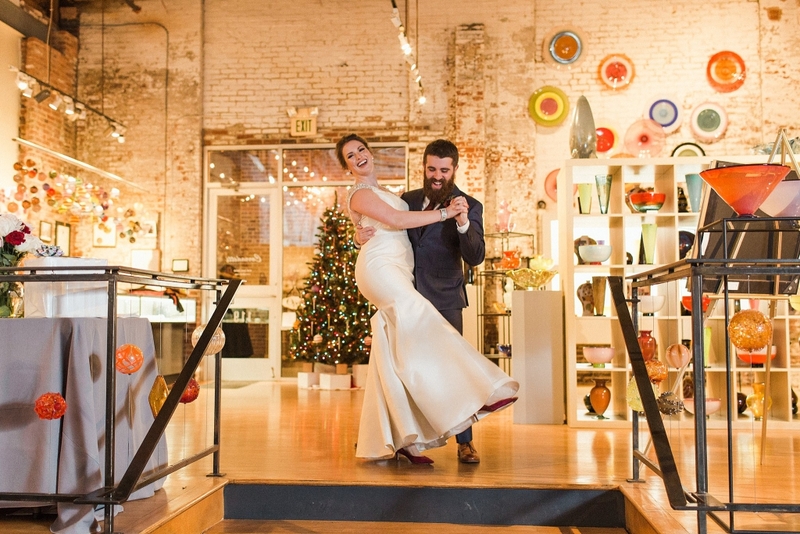 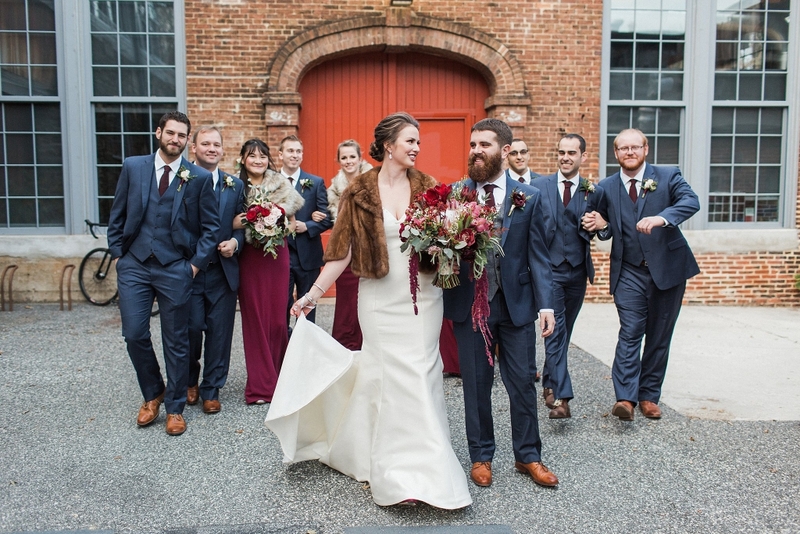 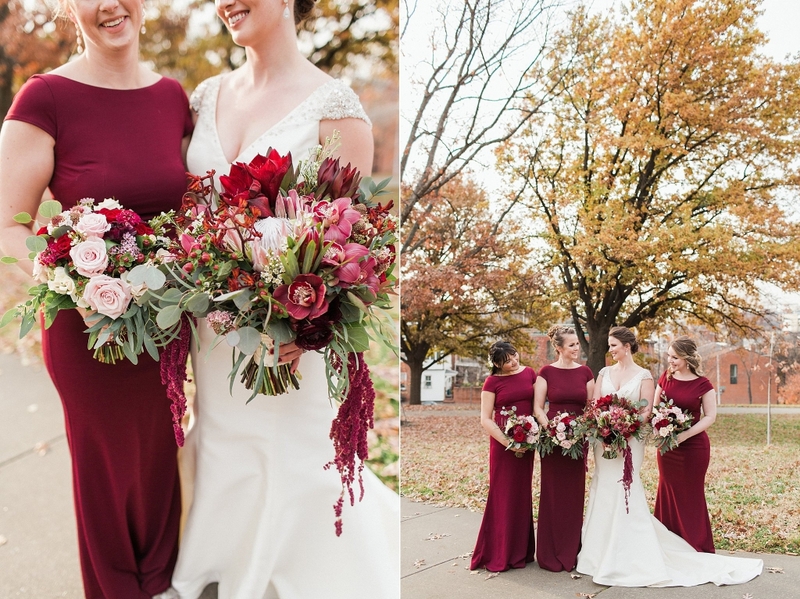 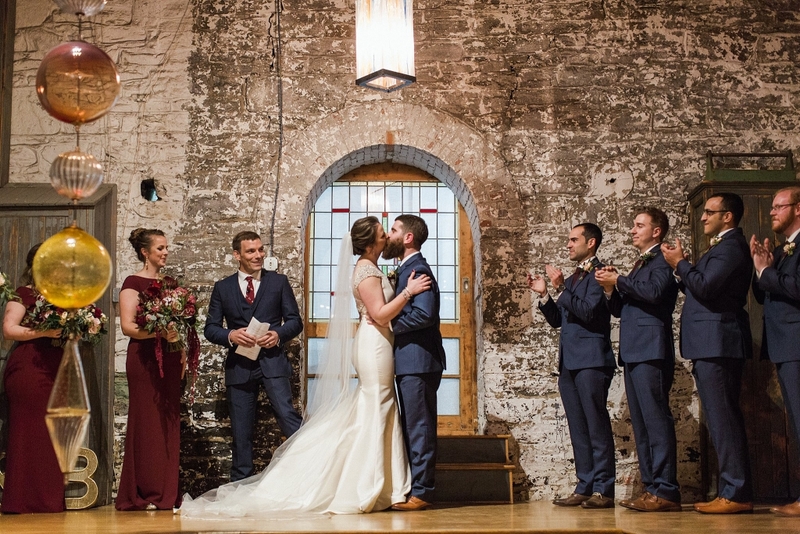 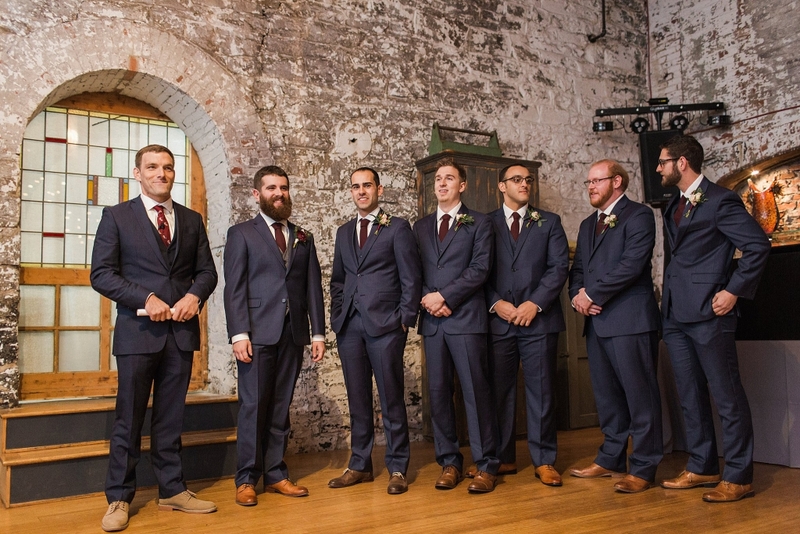 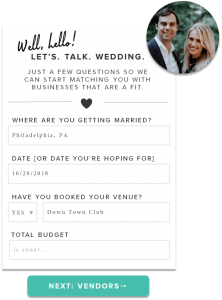 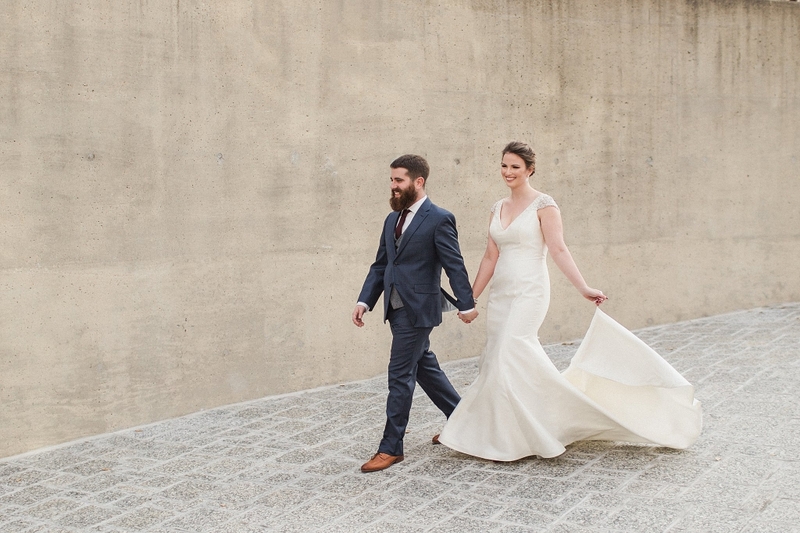 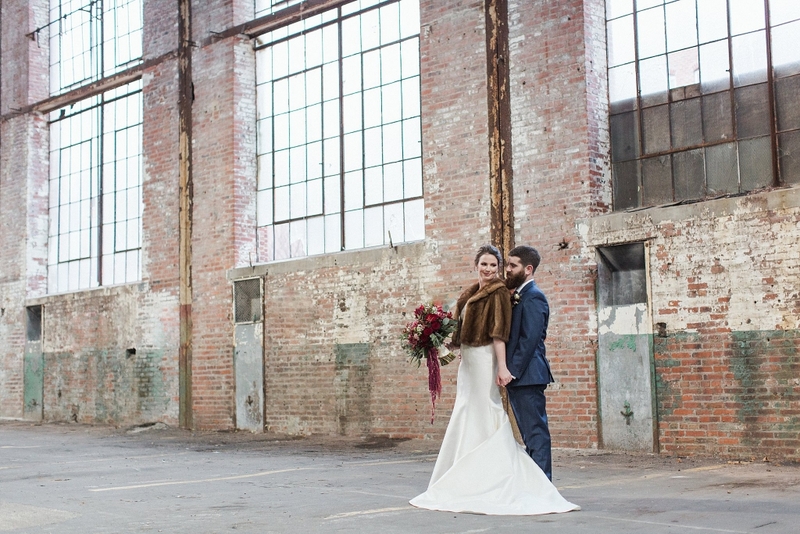 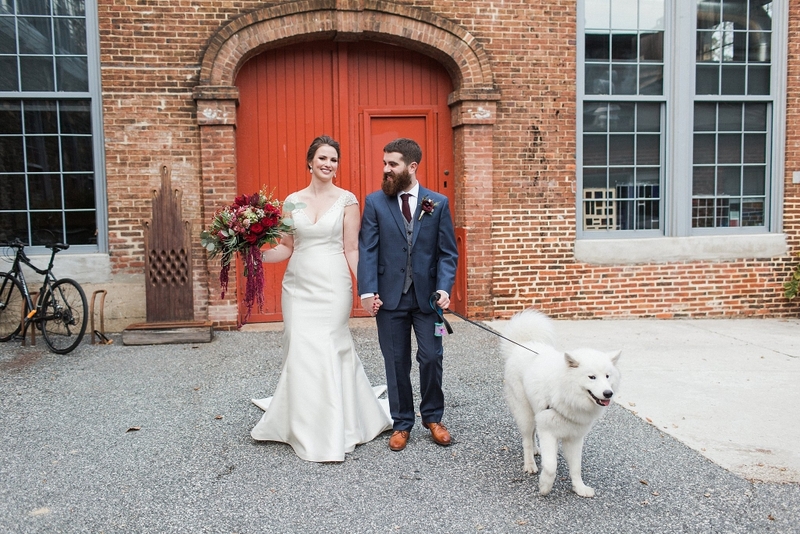 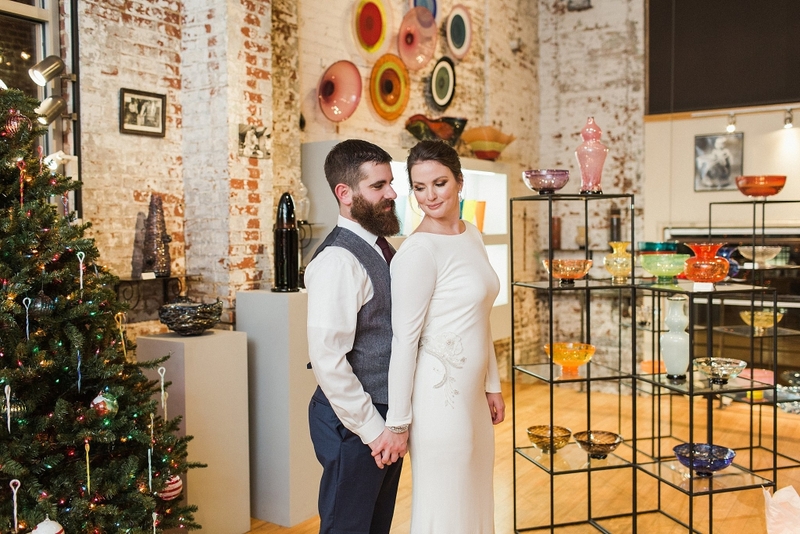 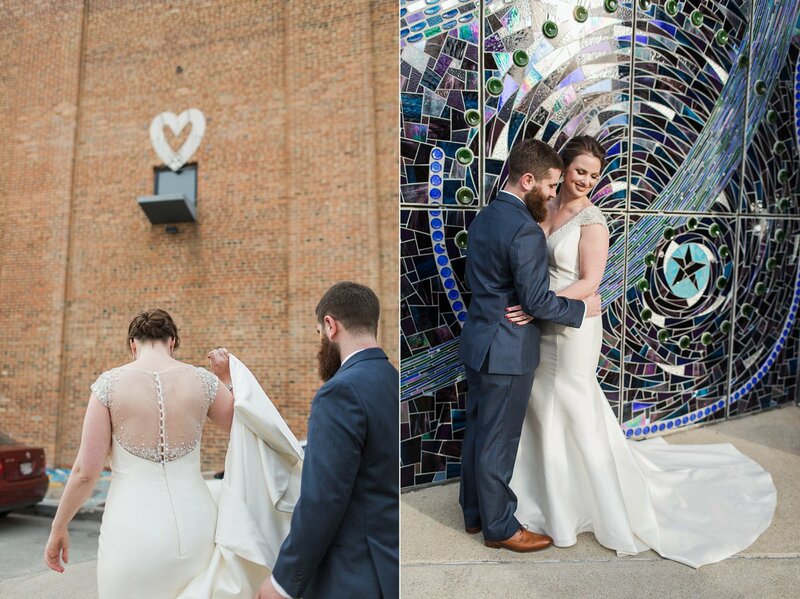 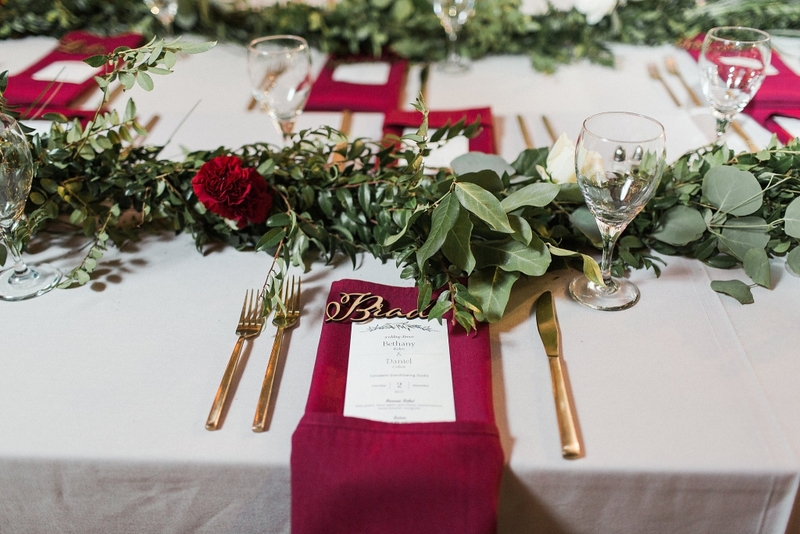 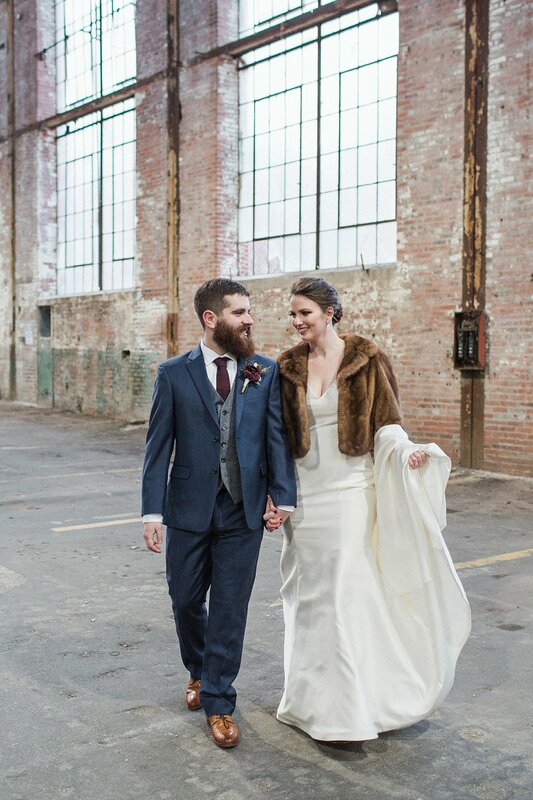 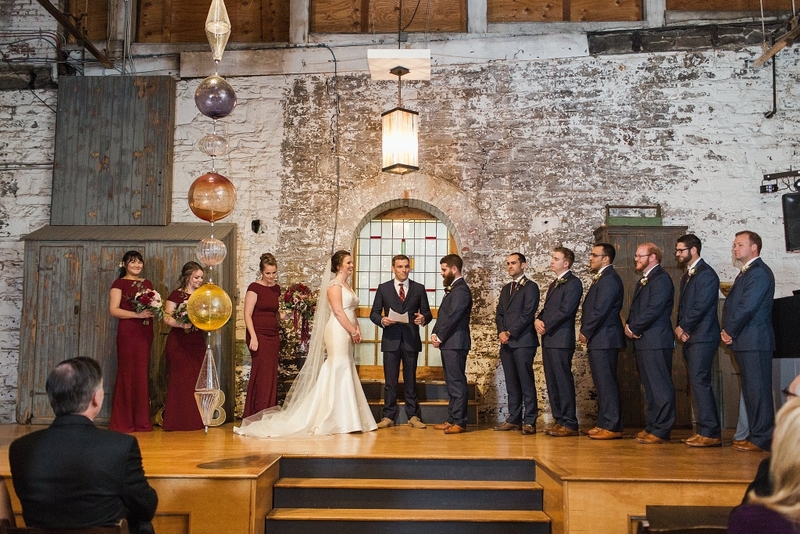 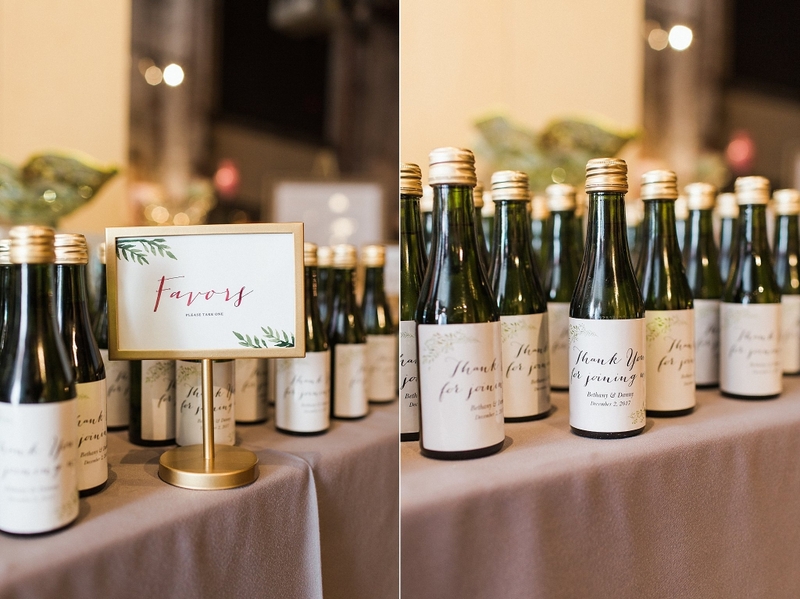 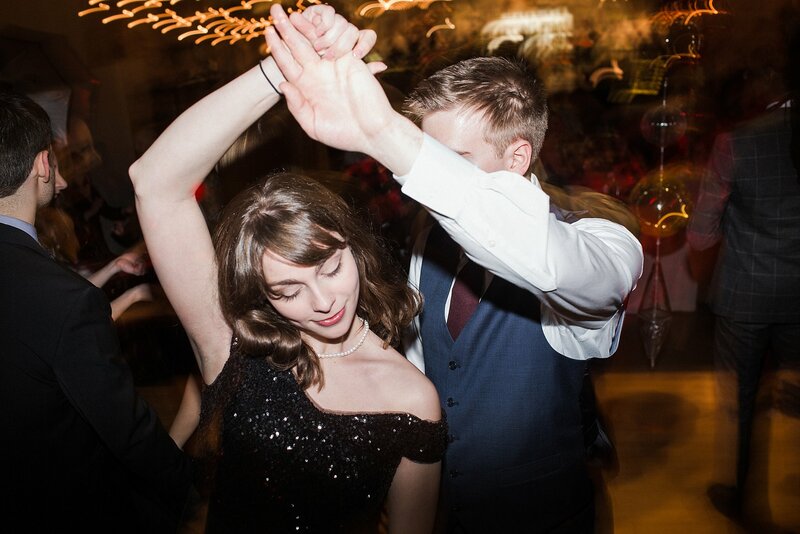 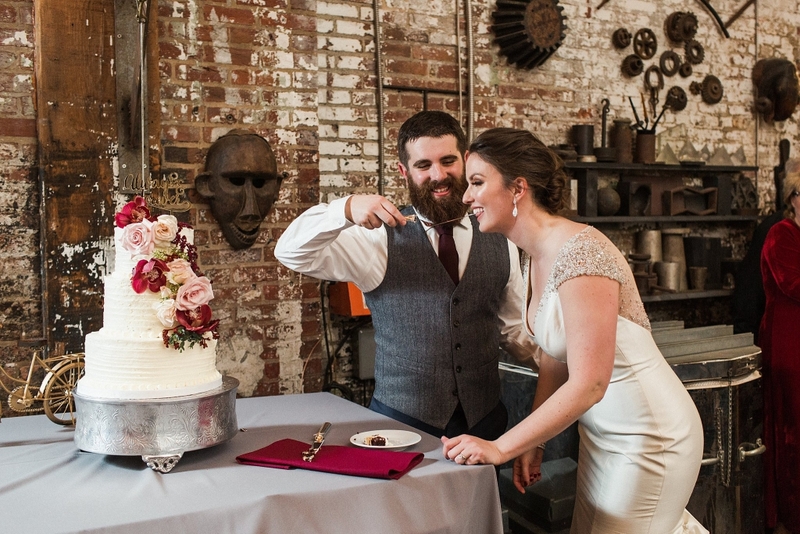 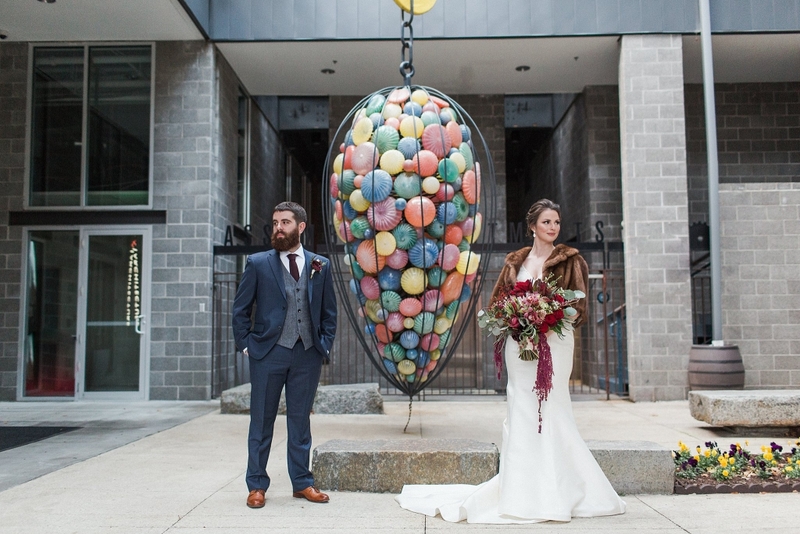 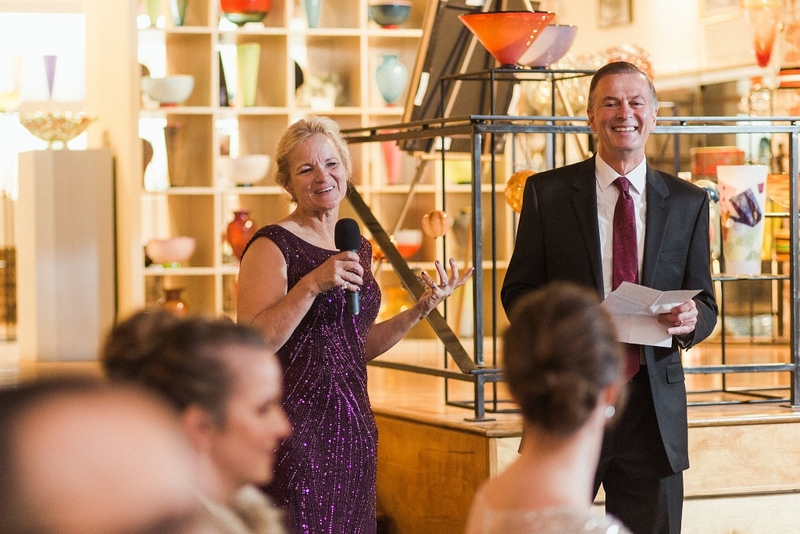 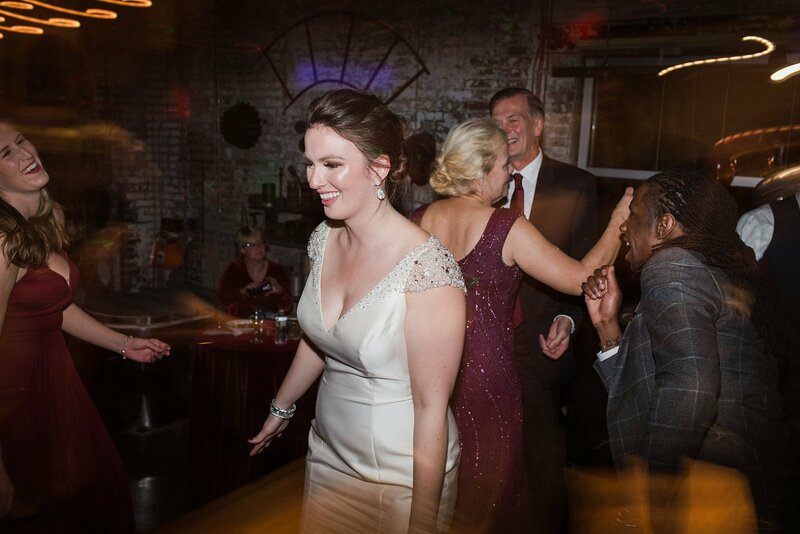 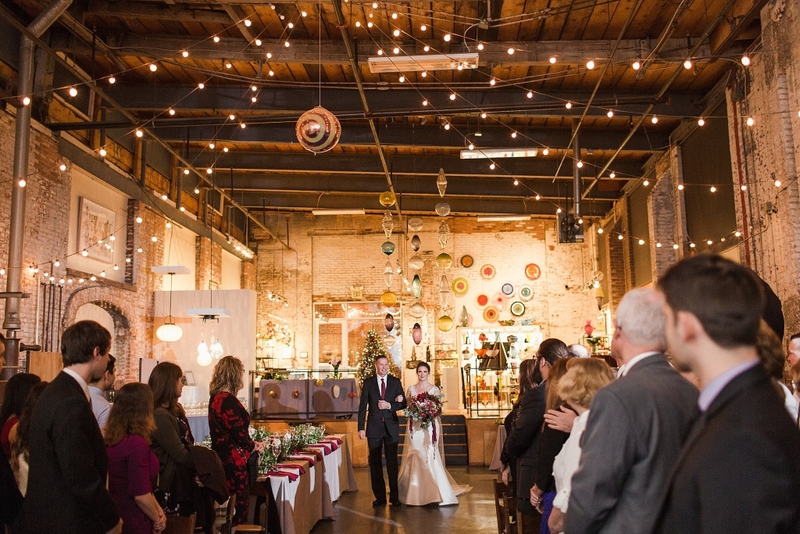 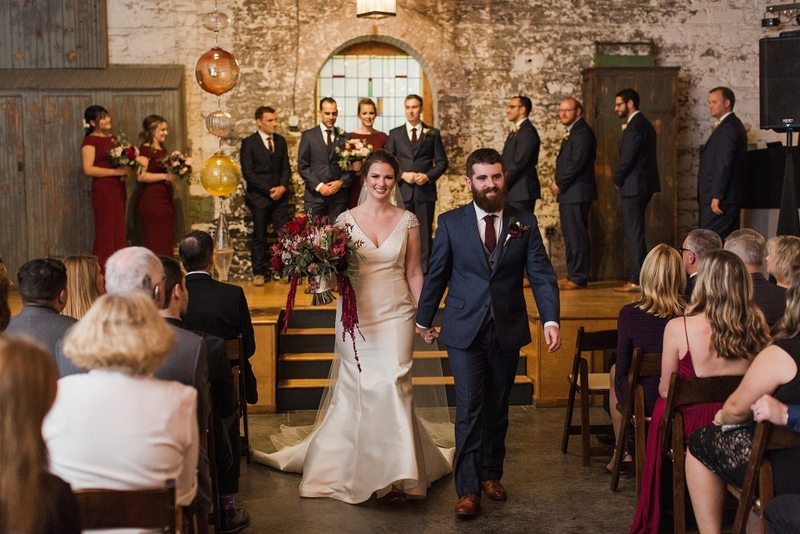 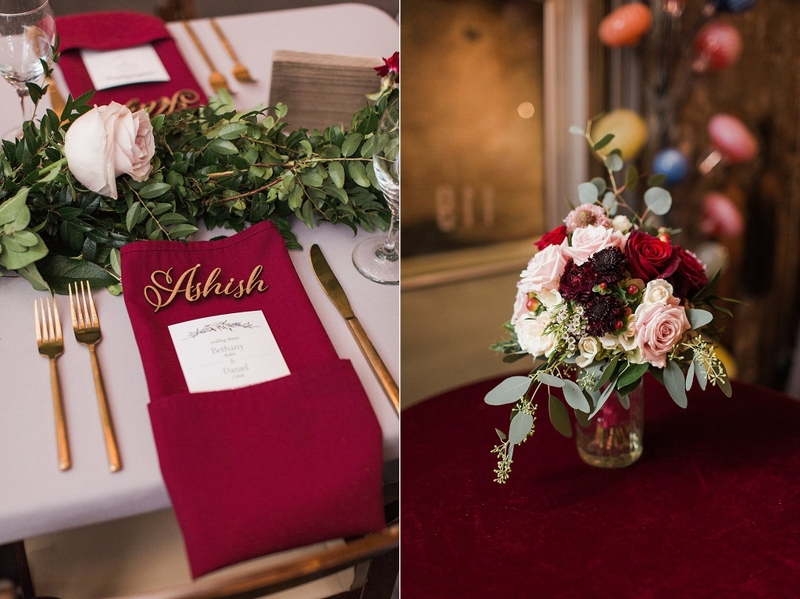 They celebrated with their families and bridal party at Federal Hill, the American Visionary Museum, and finally arrived at Coradetti Glassblowing Studio where their ceremony and reception would be taking place. 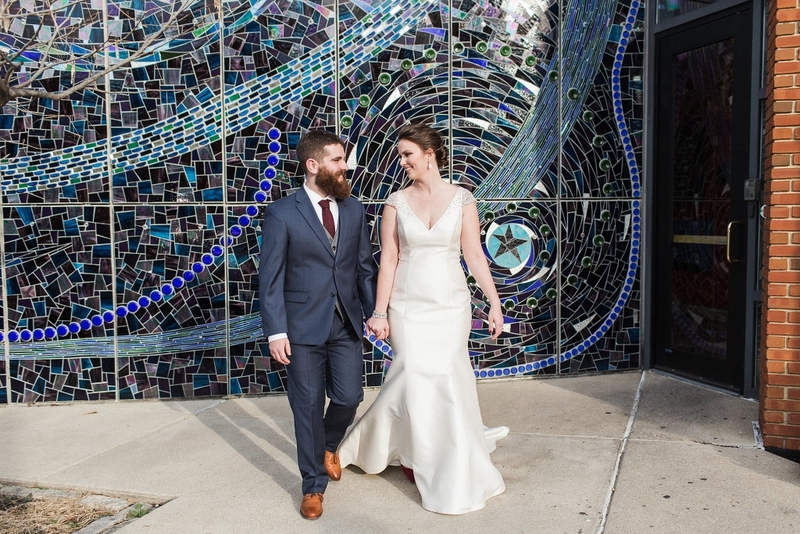 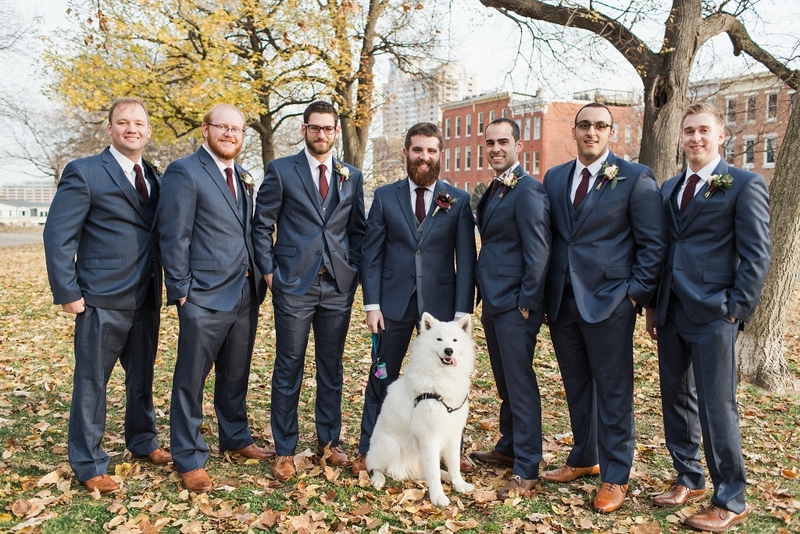 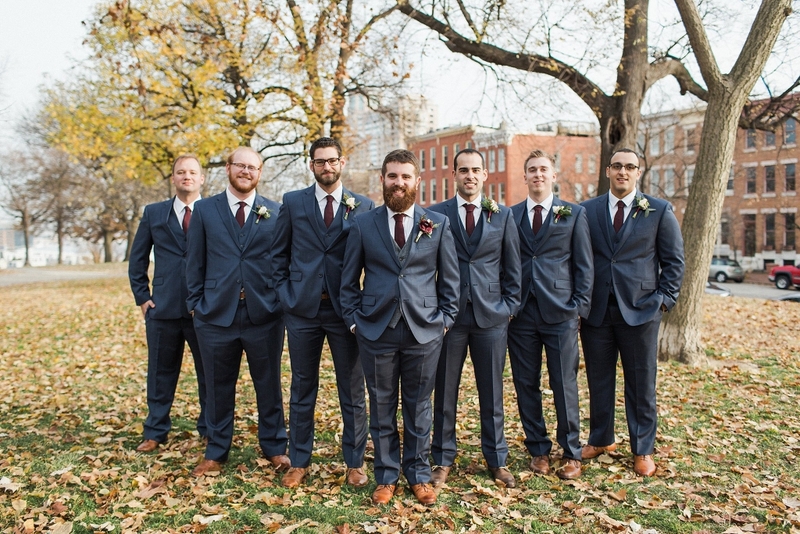 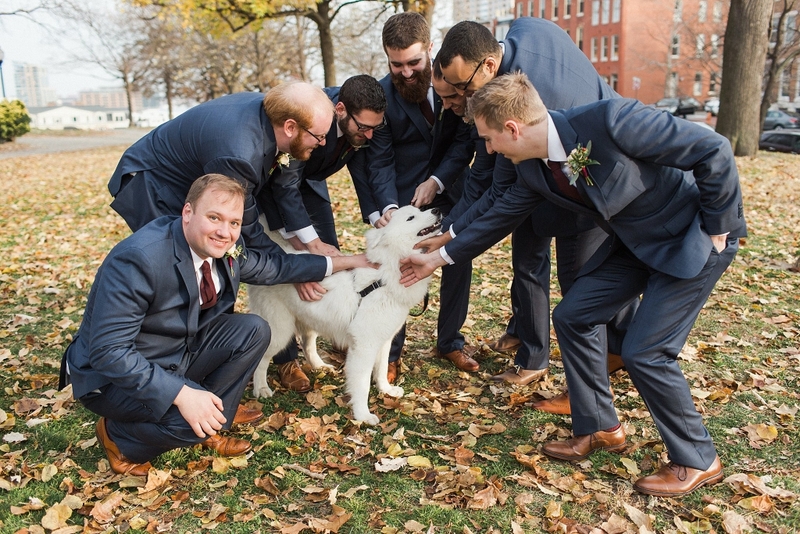 They wandered the grounds of the studio and enjoyed some more quiet moments prior to the ceremony. 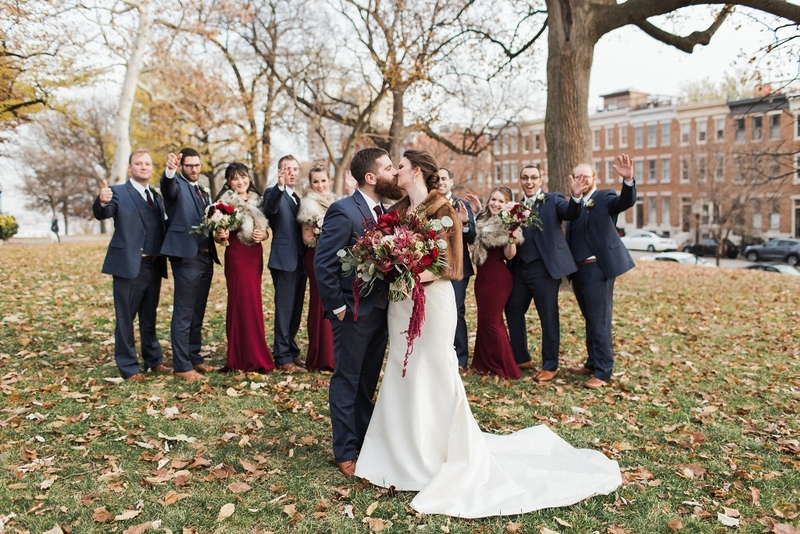 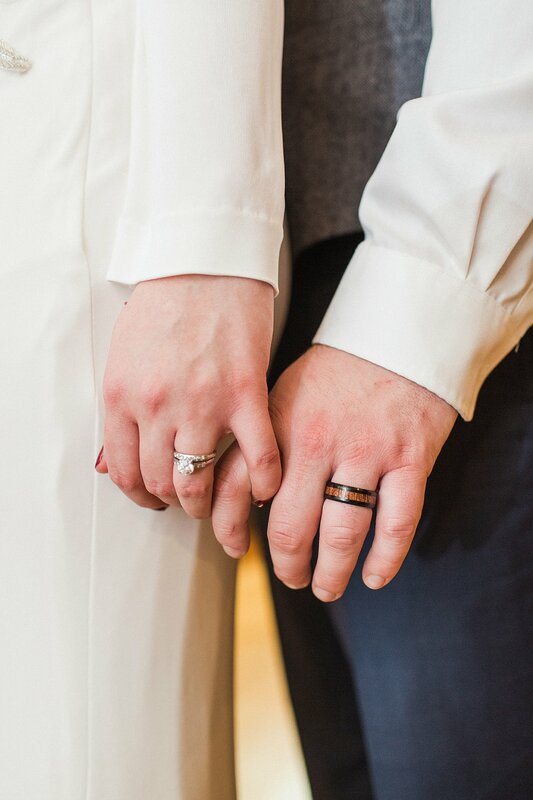 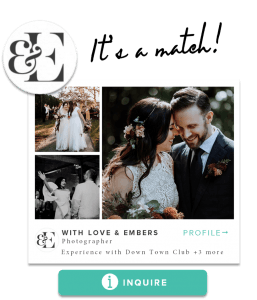 Bethany’s brother in law officiated the intimate ceremony and they sealed their vows with the exchange of rings and a kiss before dancing down the aisle into their reception! 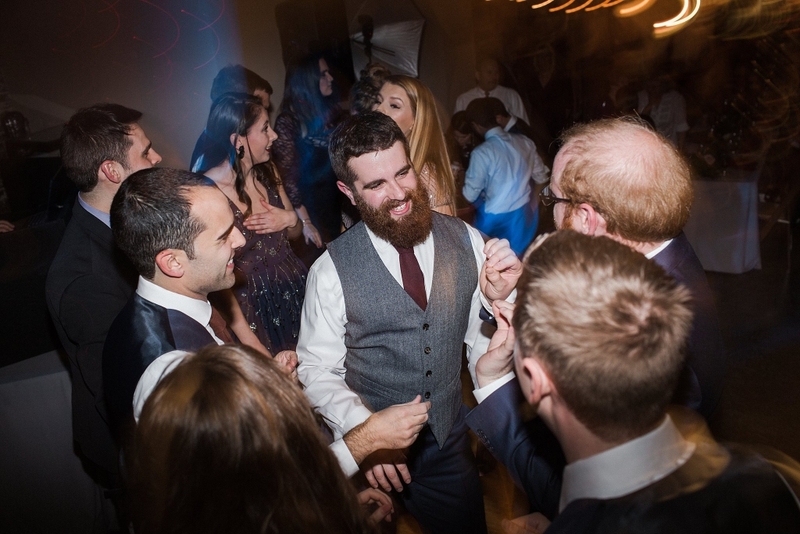 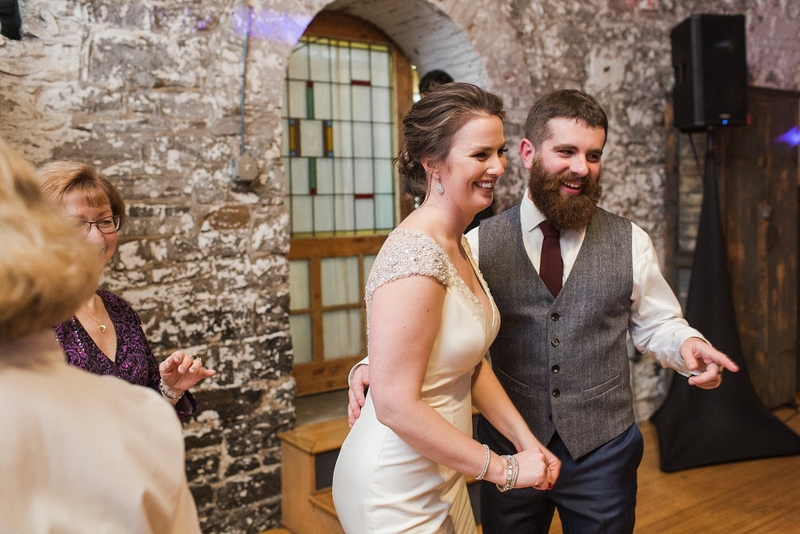 They enjoyed speeches by family and close friends, a lively dance floor with music provided by Friendly Entertainment and cut their cake from La Cakerie. 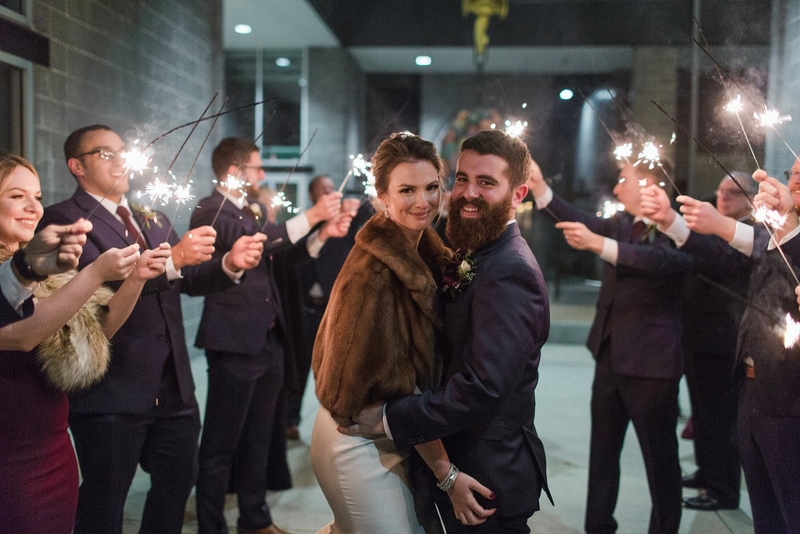 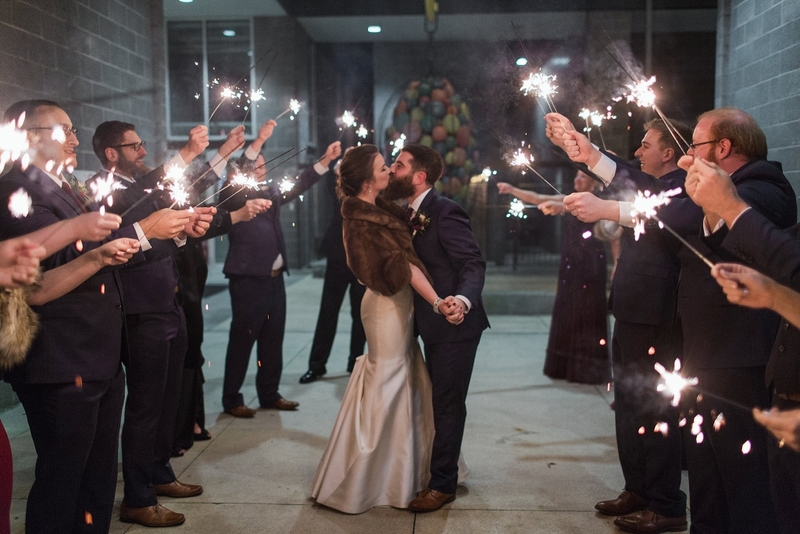 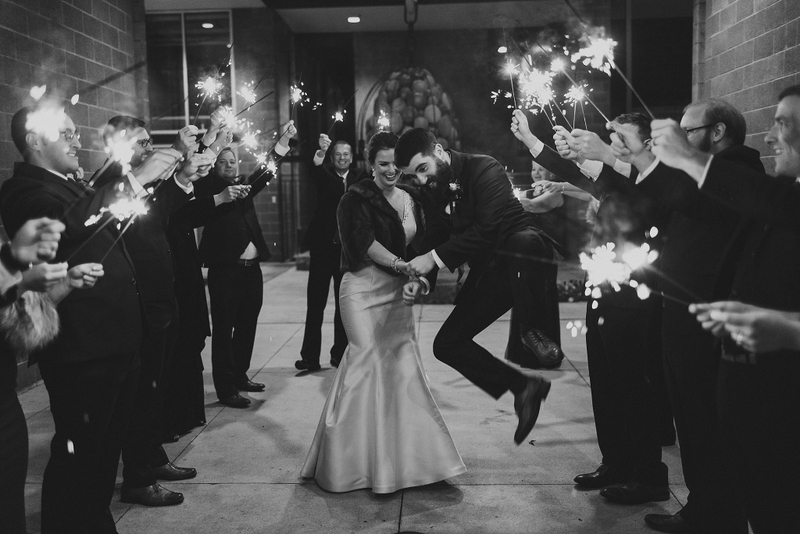 These two ended their evening with a crazy dance party and sparkler exit! 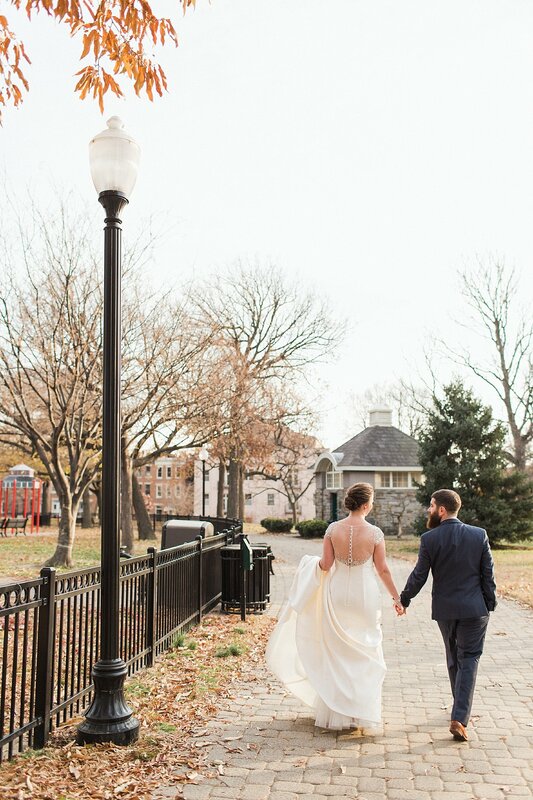 What a beautiful way to cap off a very special day! 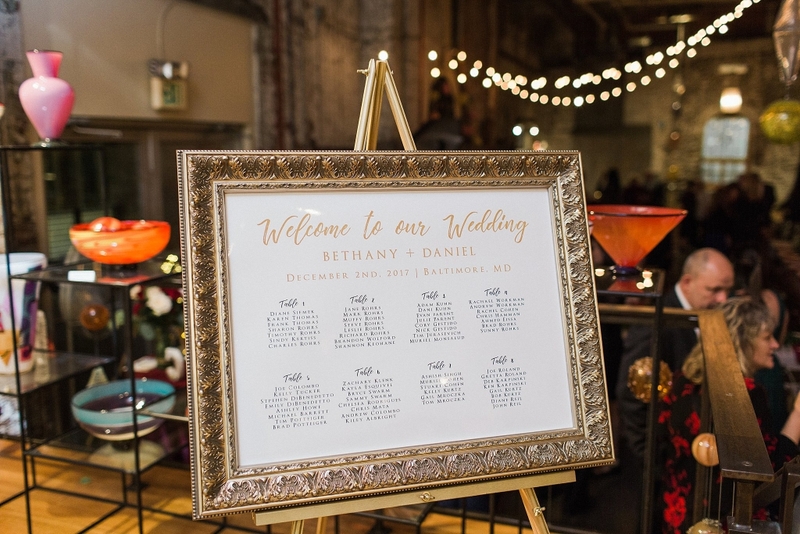 Bethany and Daniel are such a special couple that deserve all of the love and happiness in the world! 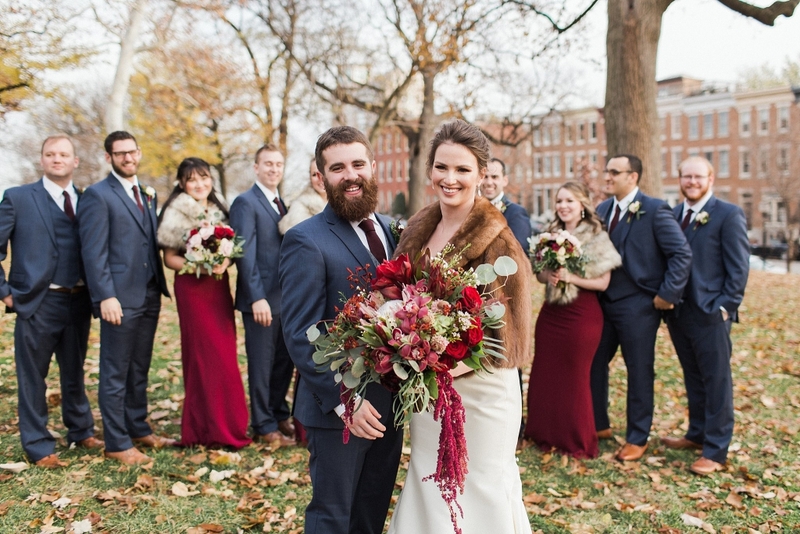 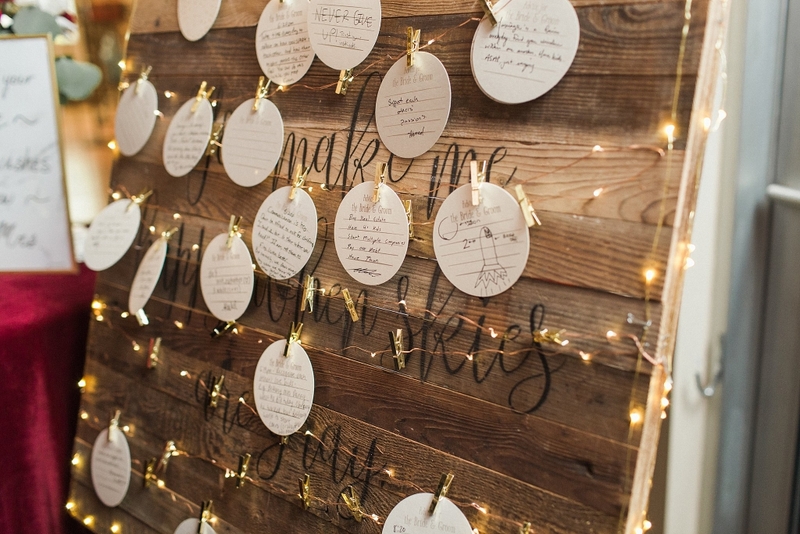 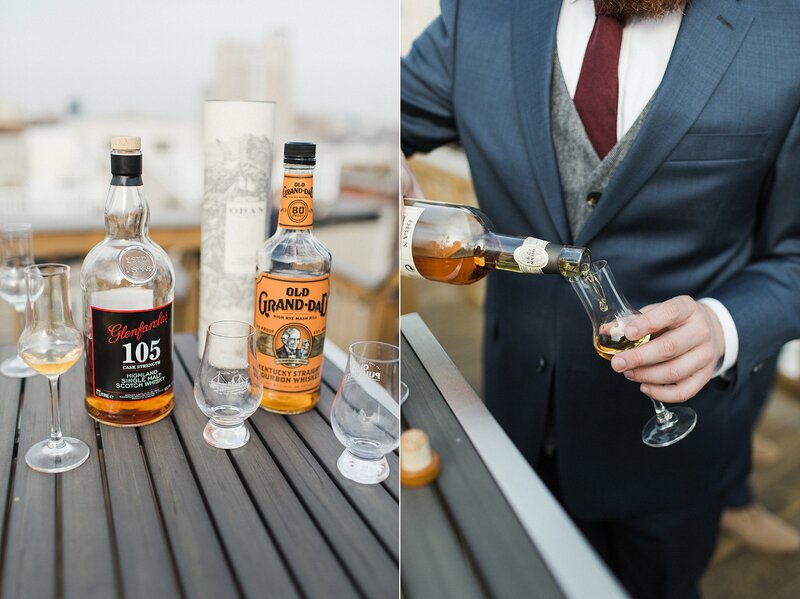 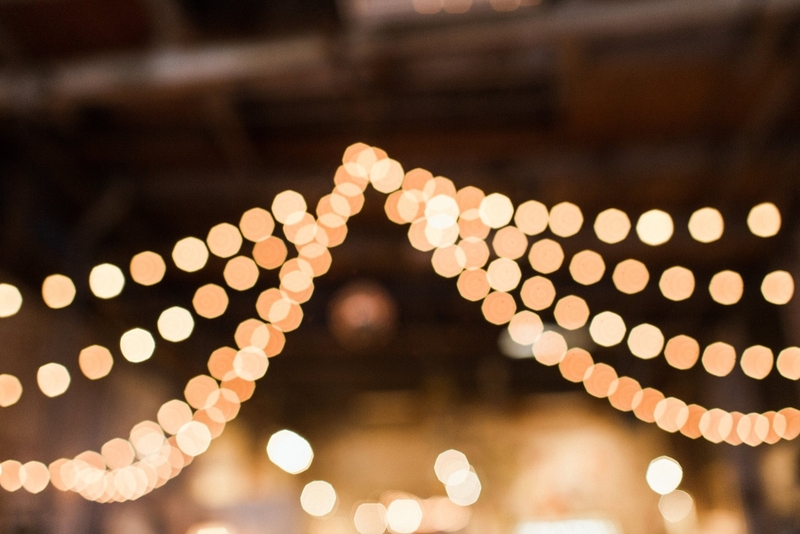 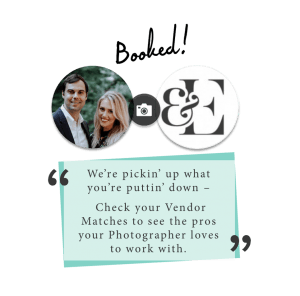 Enjoy this peek into their wedding day!